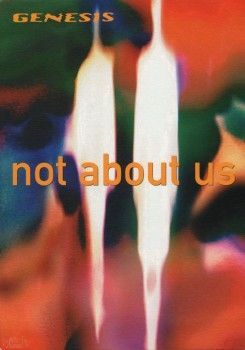 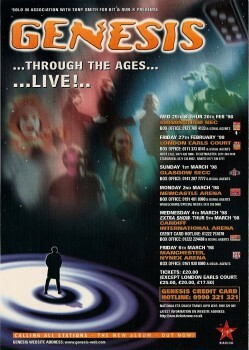 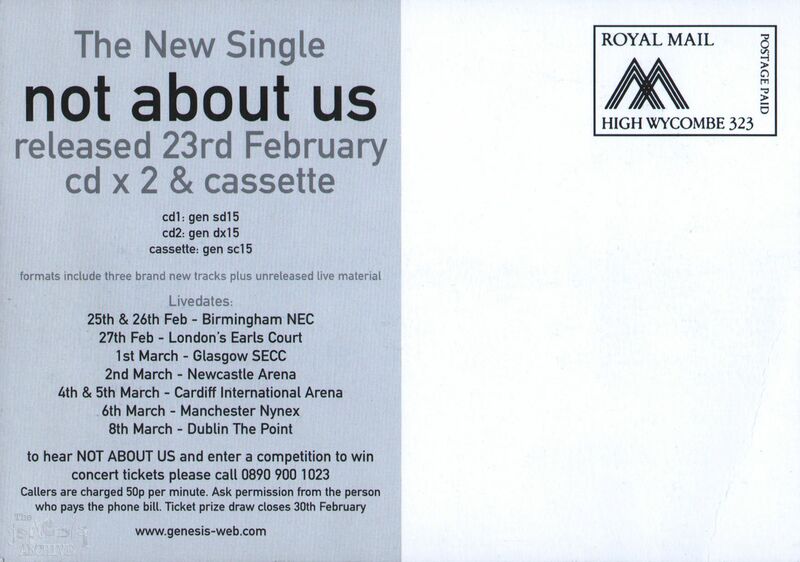 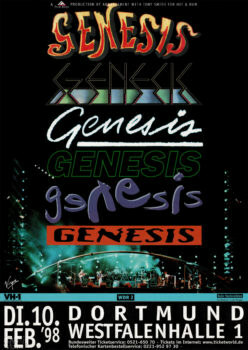 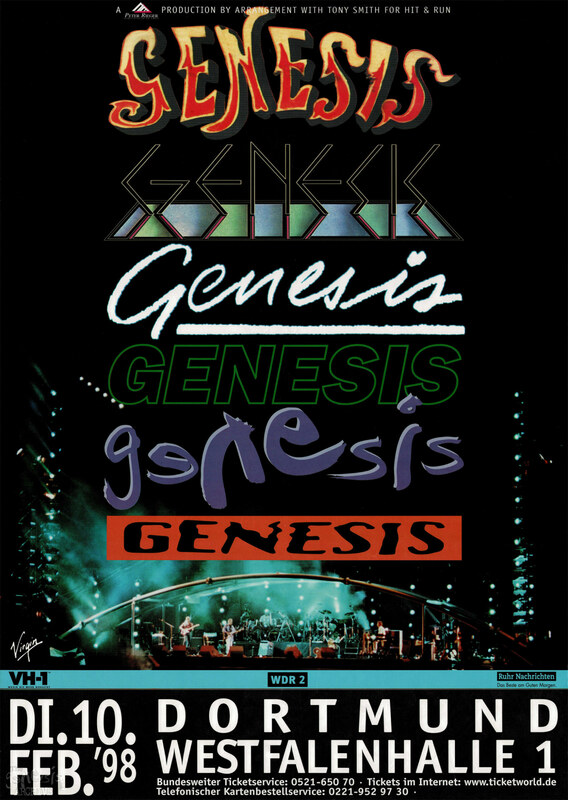 This is an early CAS UK tour flyer before the dates were changed! Here is a CAS UK Tour flyer with the Revised dates on it! 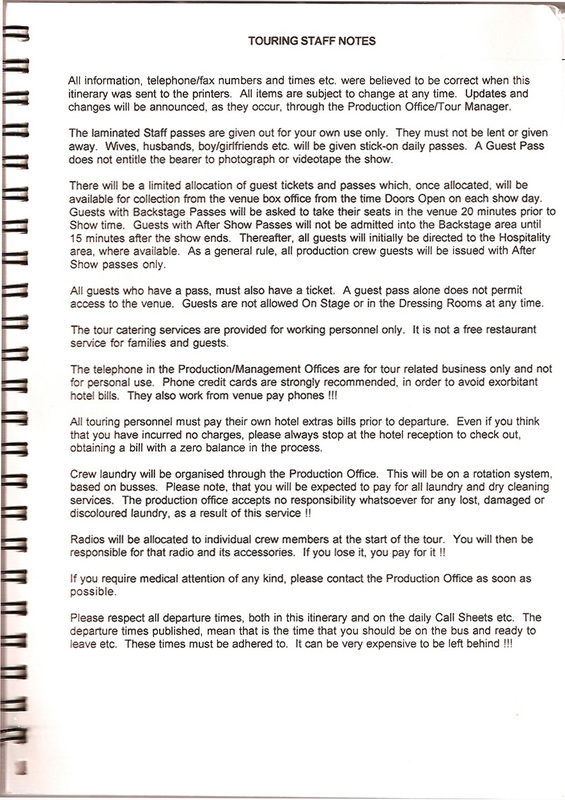 These are two (2) CAS tour laminates, 1st) All Area’s 2nd) VIP. 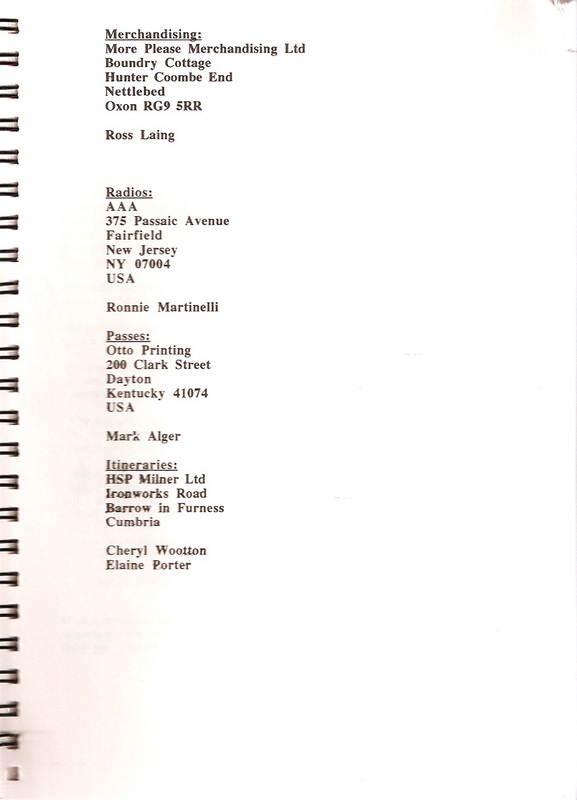 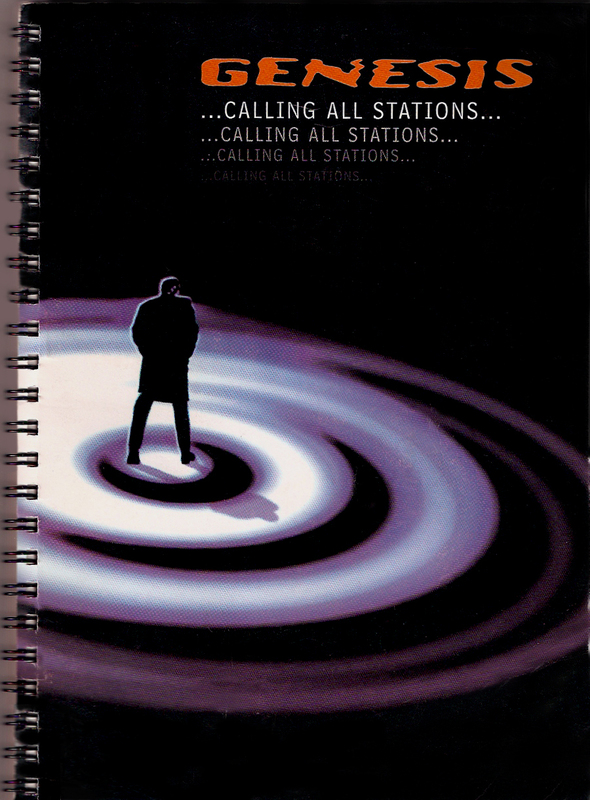 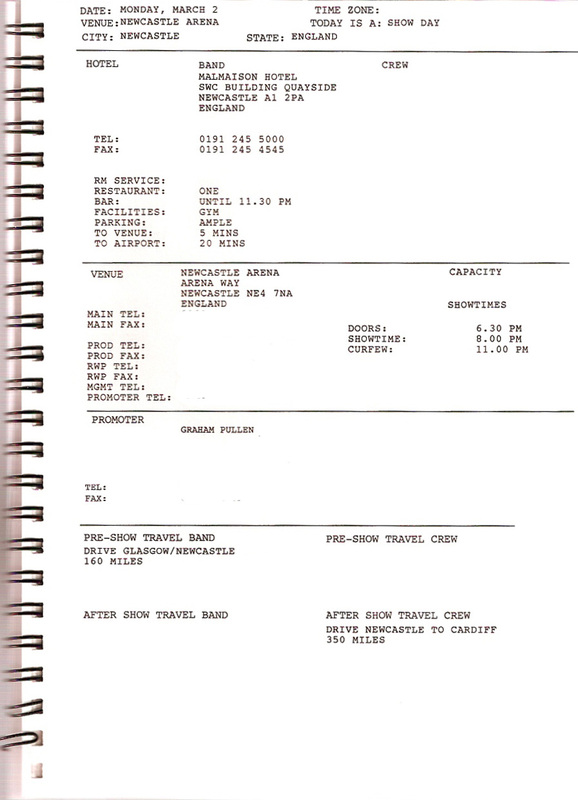 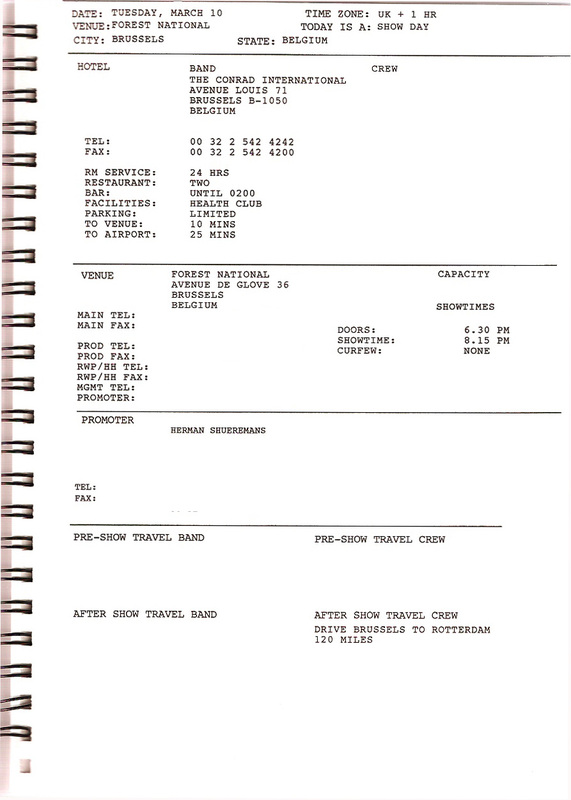 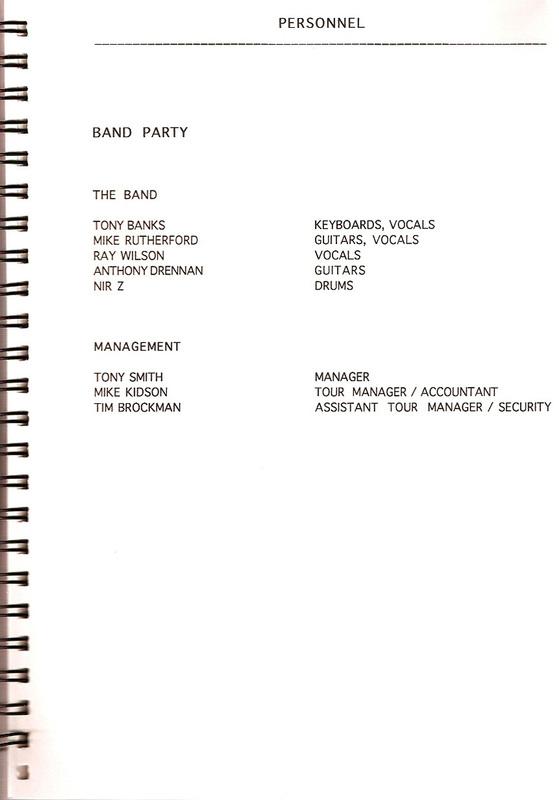 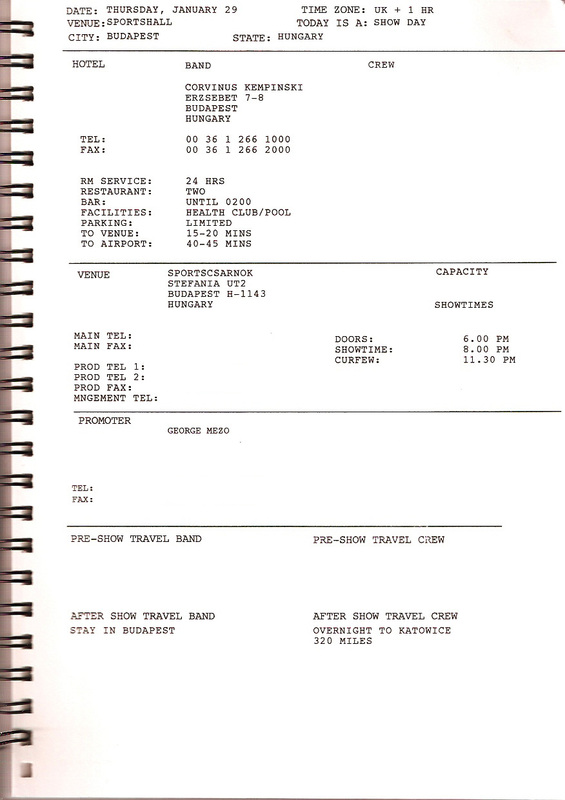 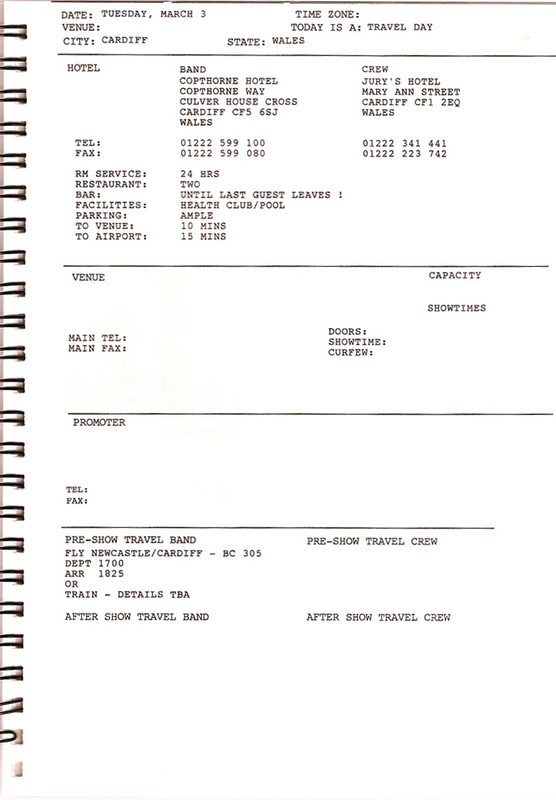 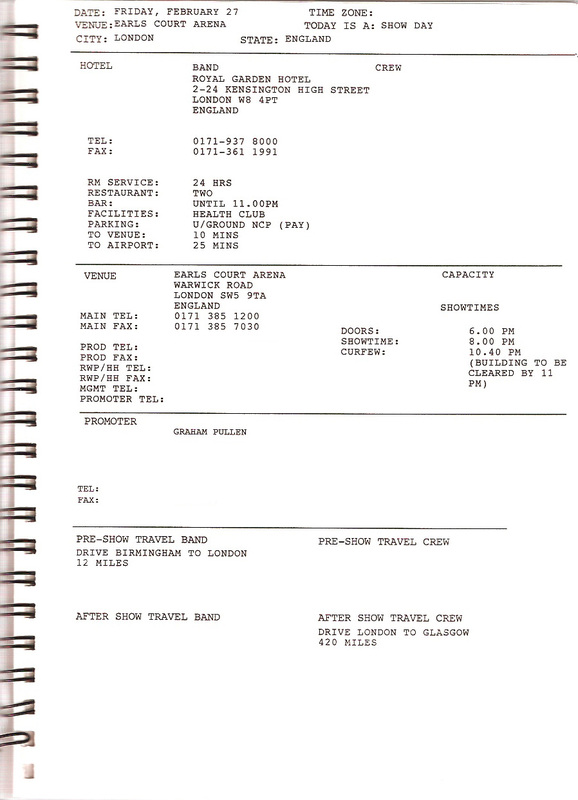 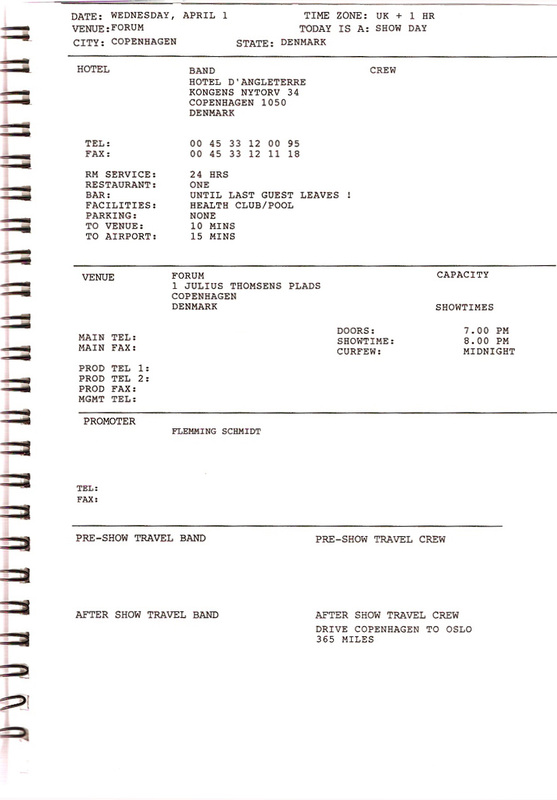 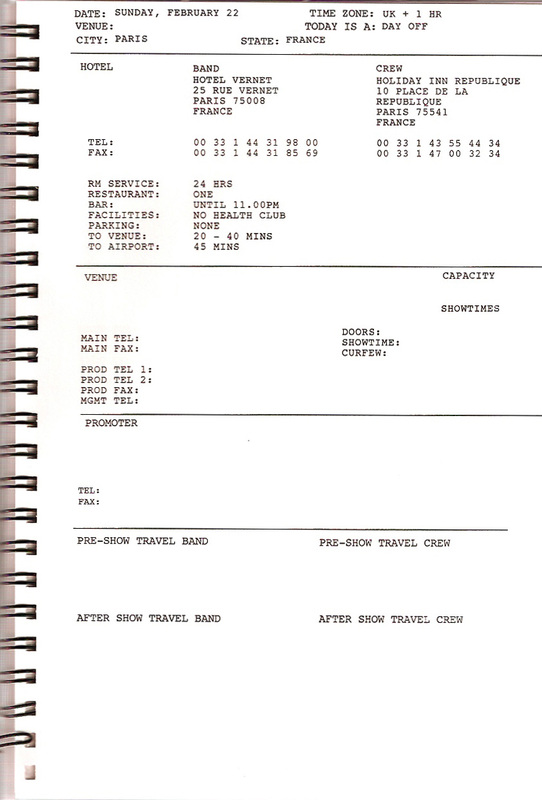 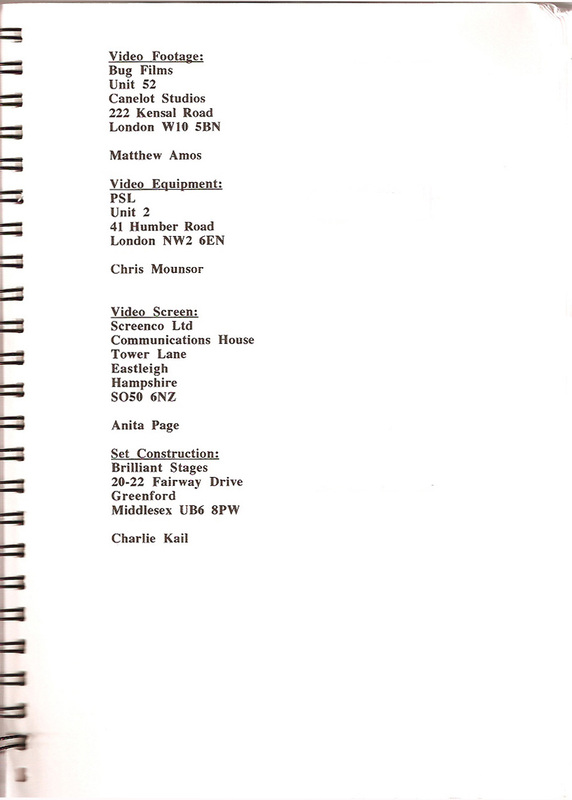 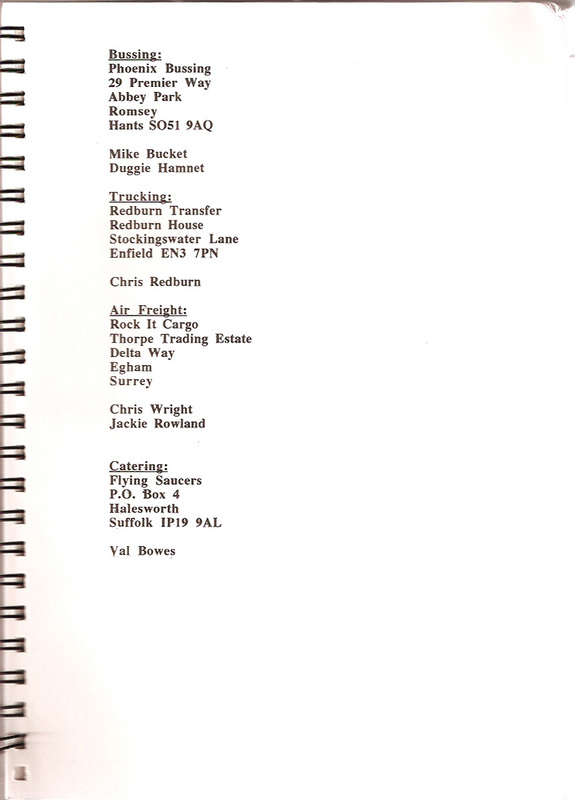 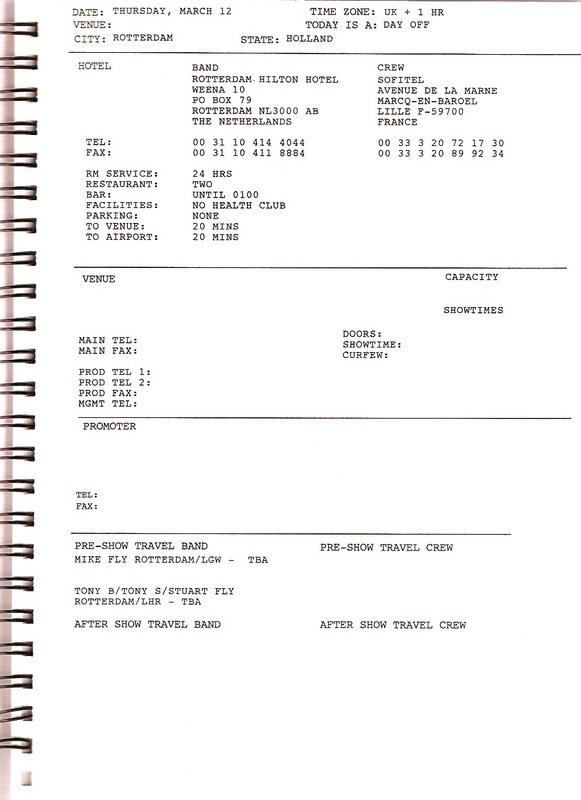 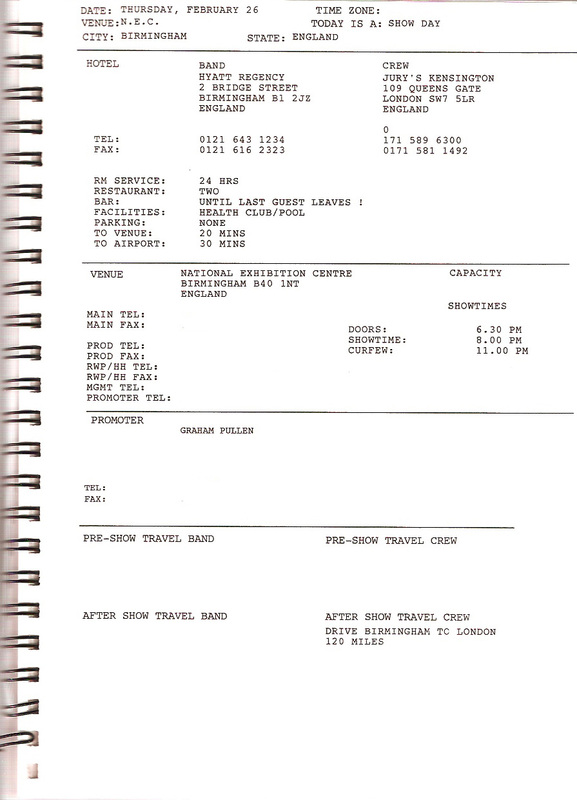 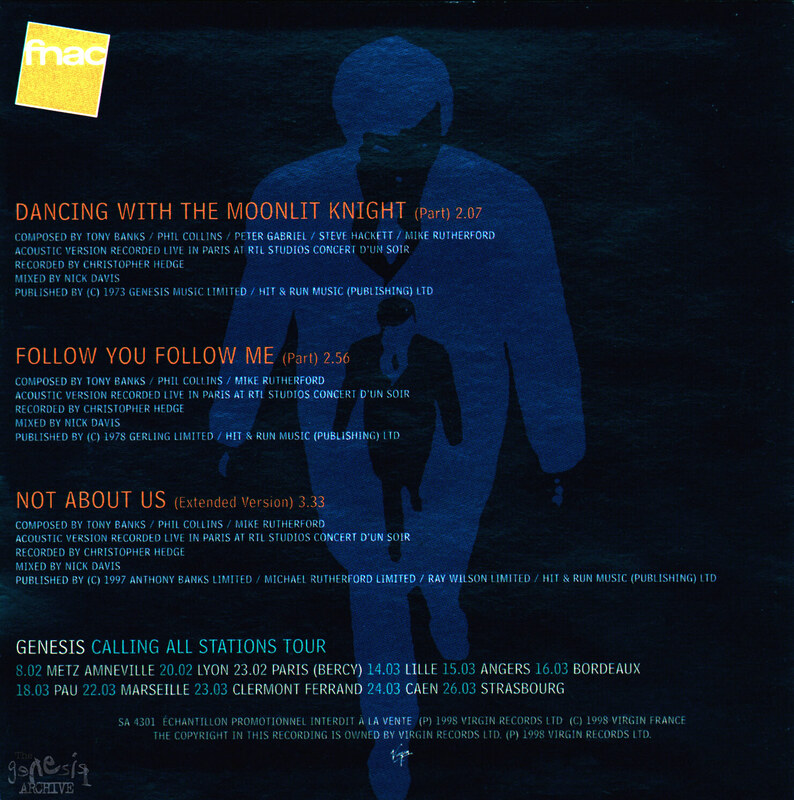 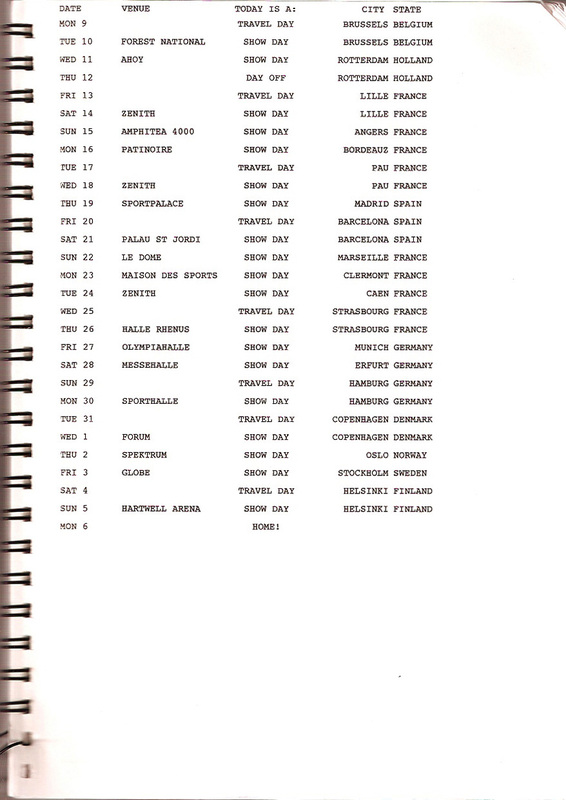 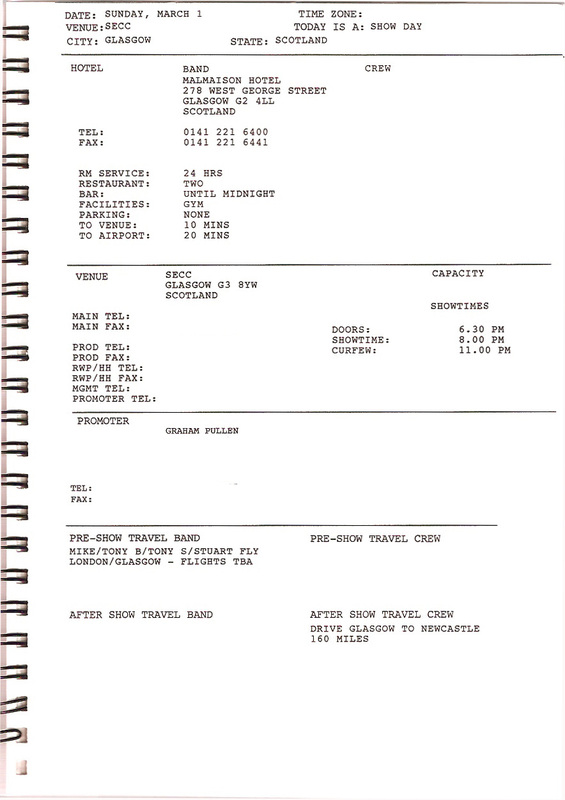 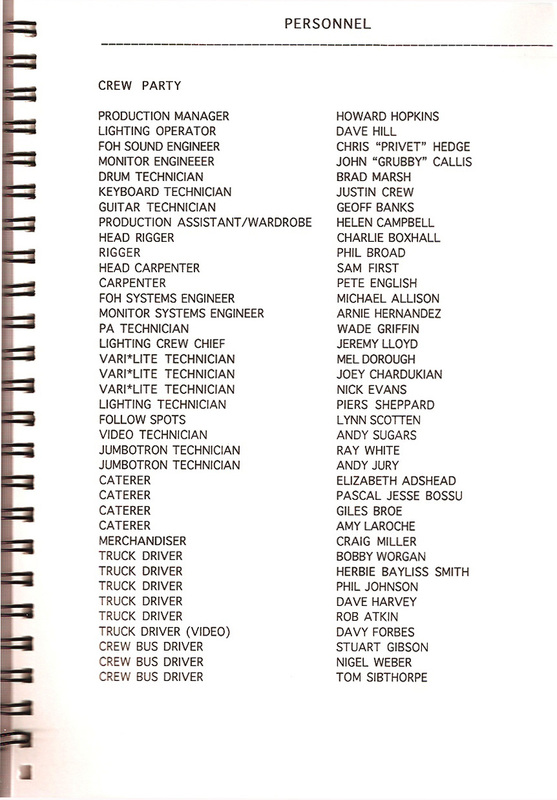 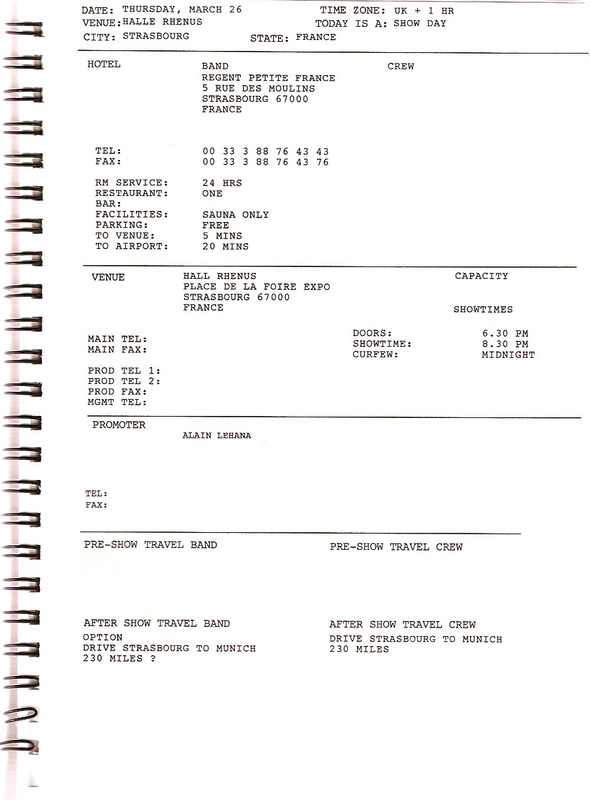 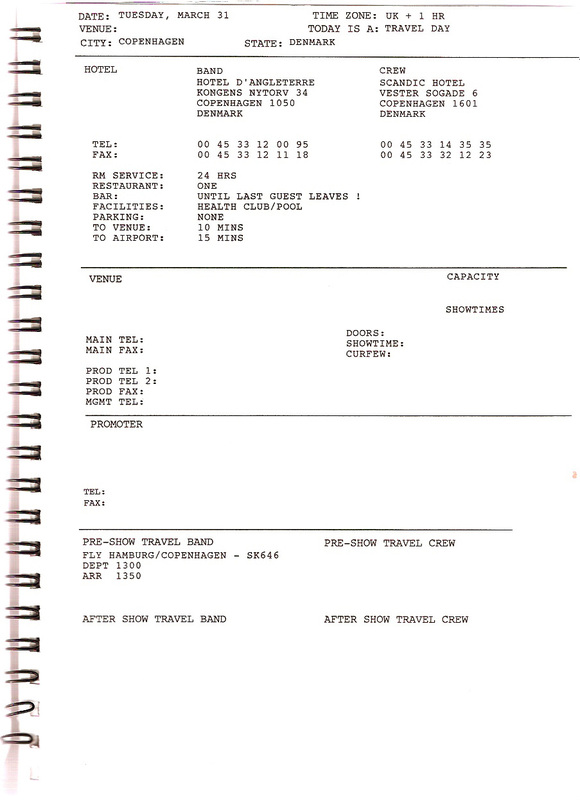 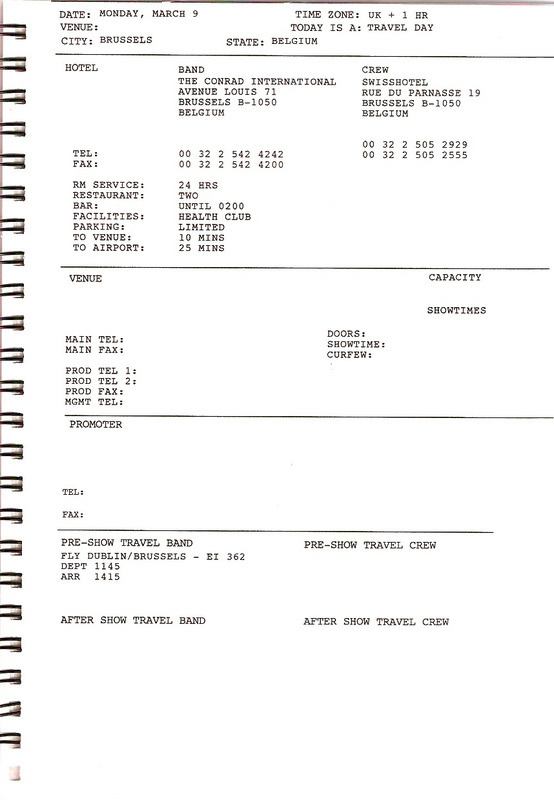 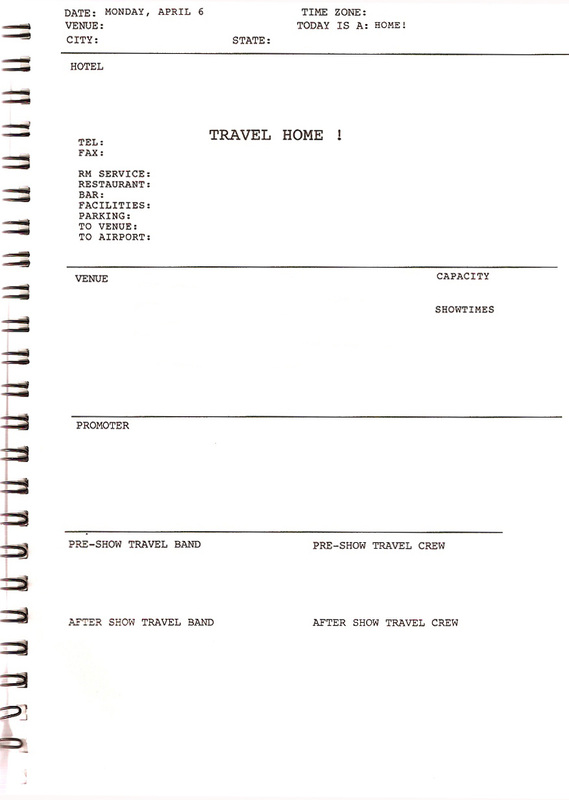 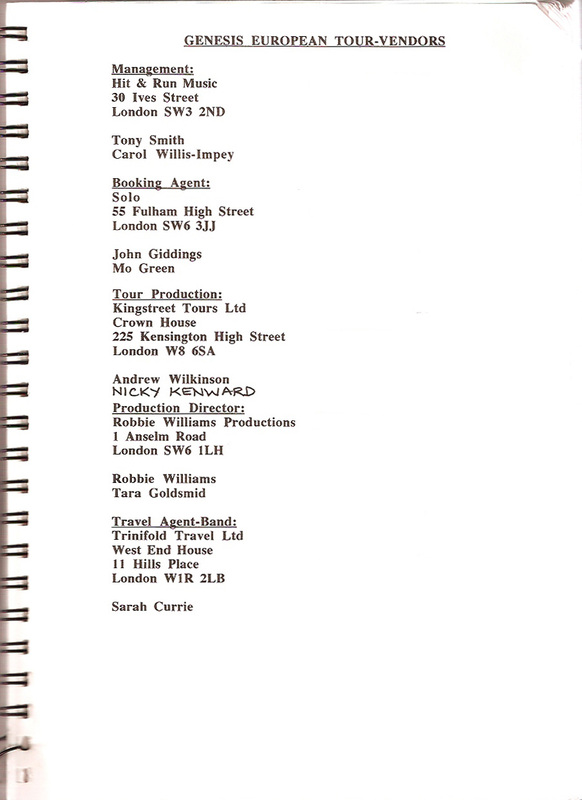 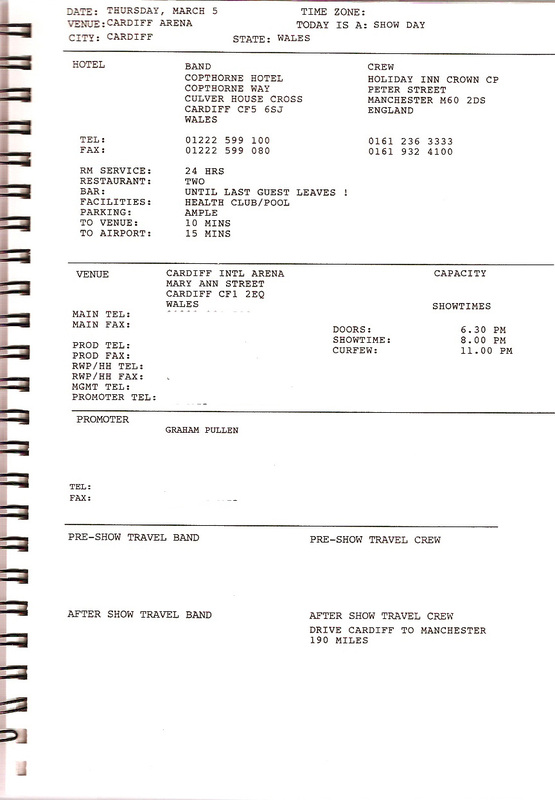 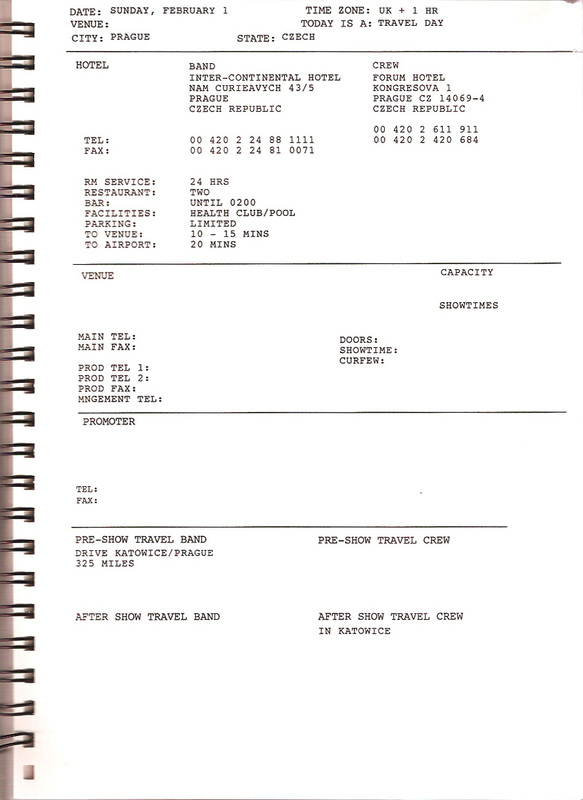 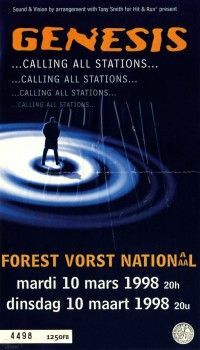 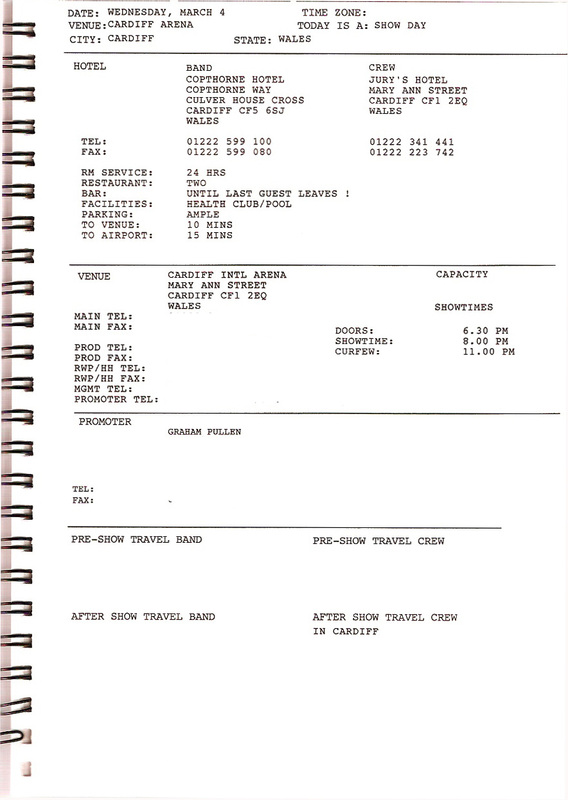 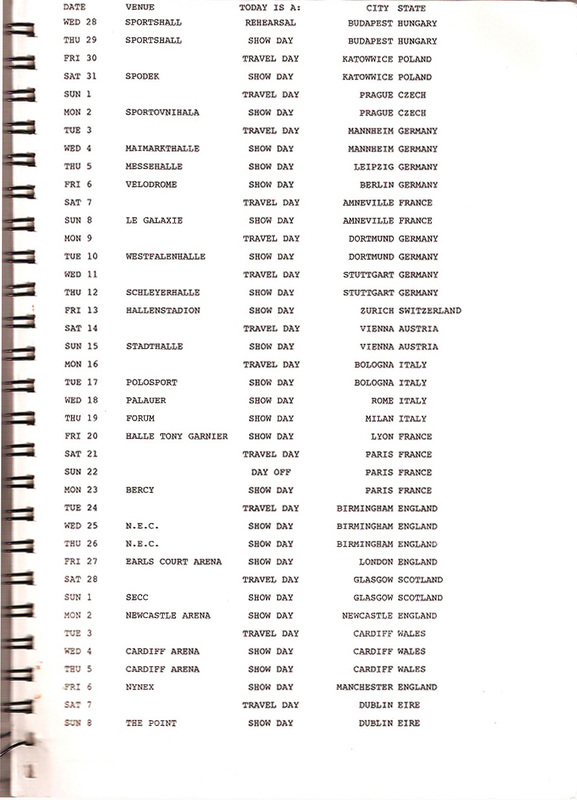 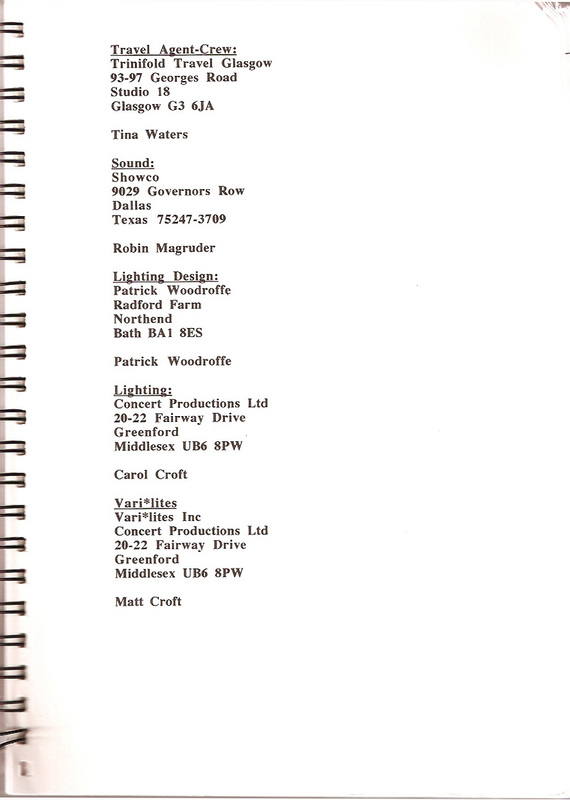 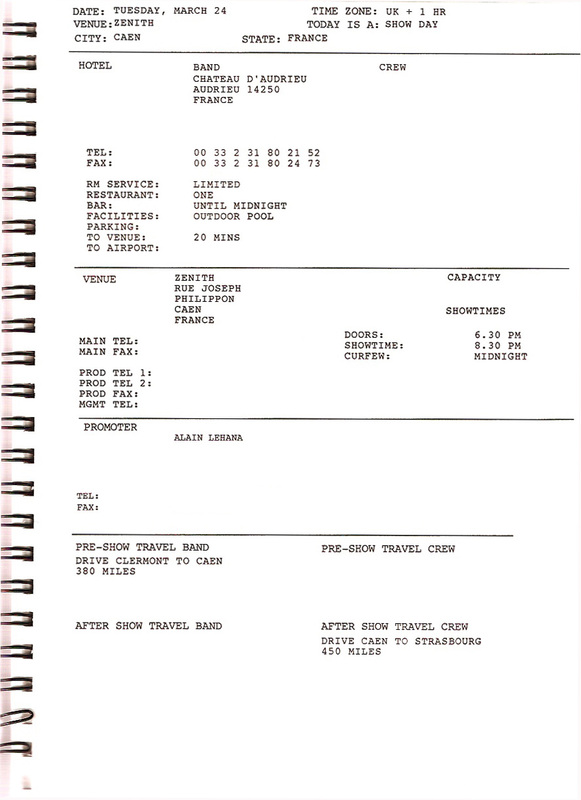 This is the complete Calling All Stations Tour Itinerary from 28th January to the 6th April 1998. 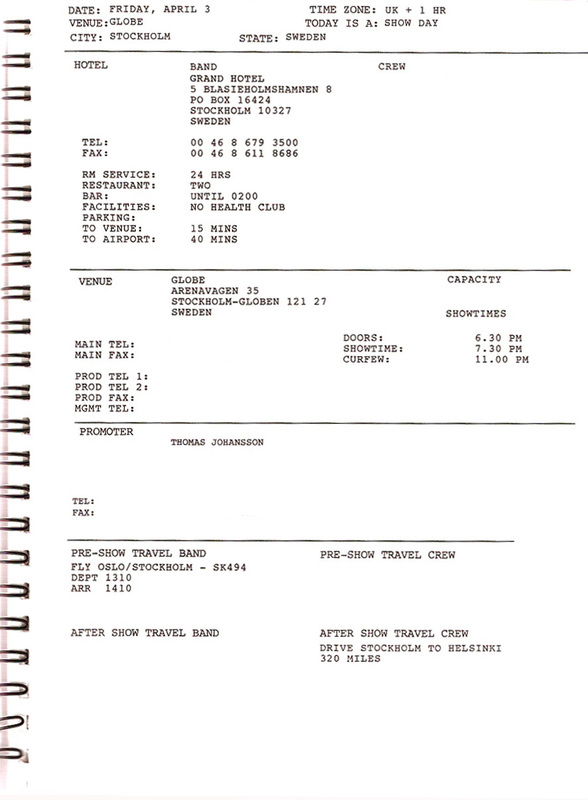 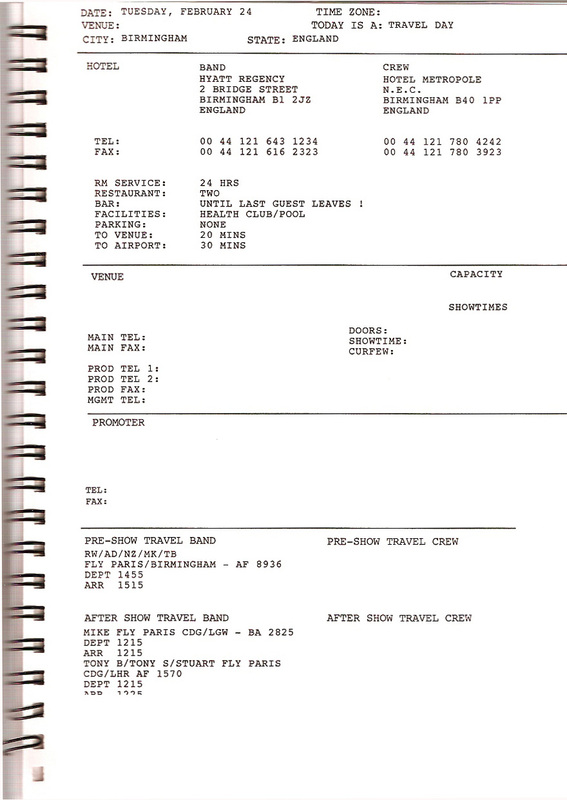 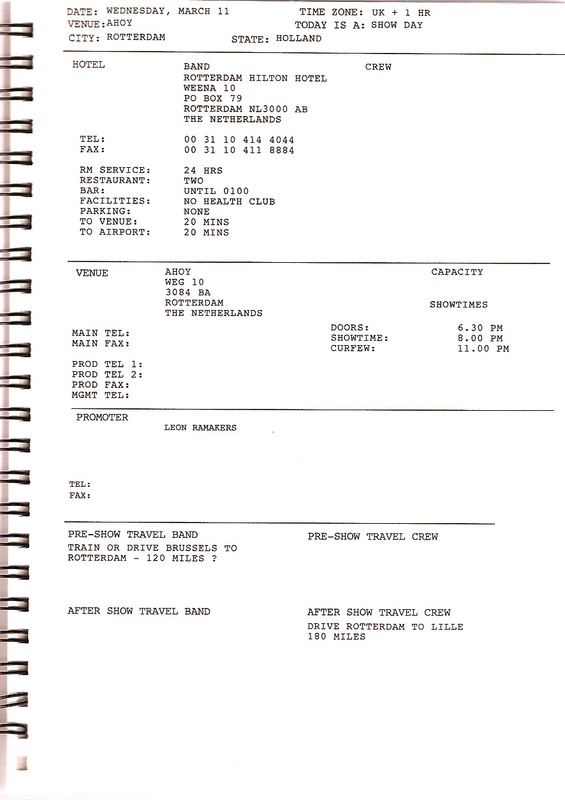 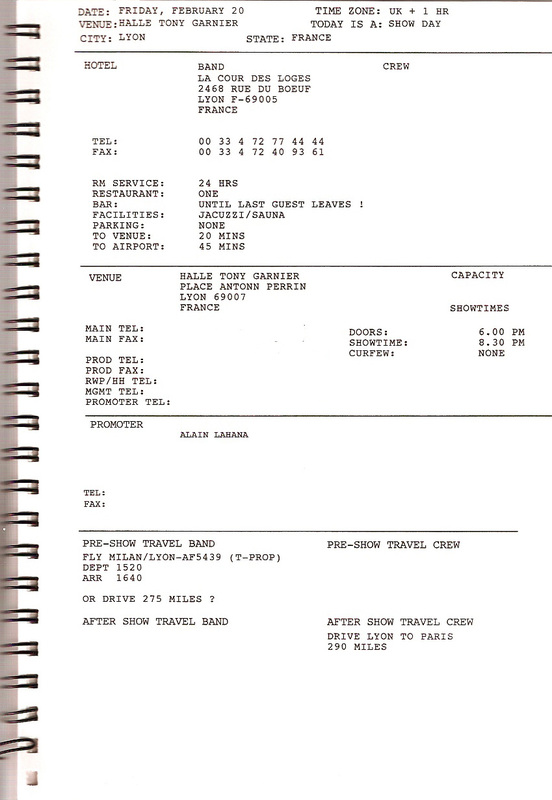 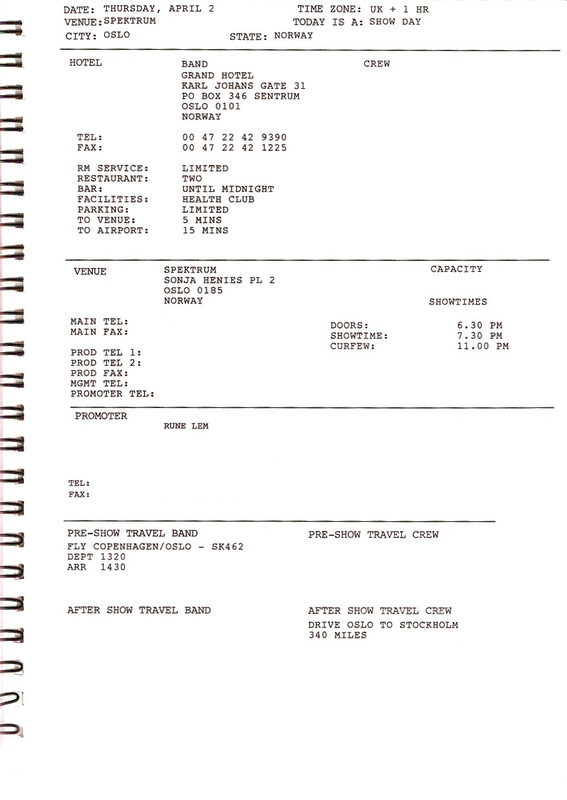 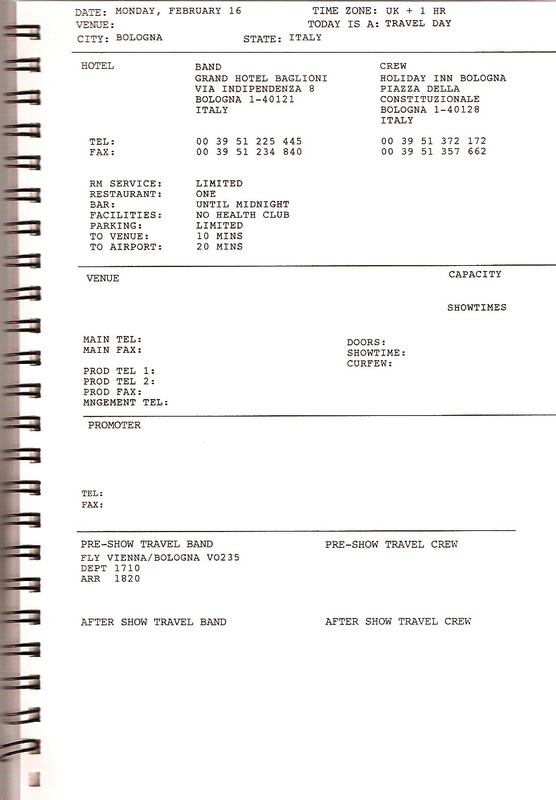 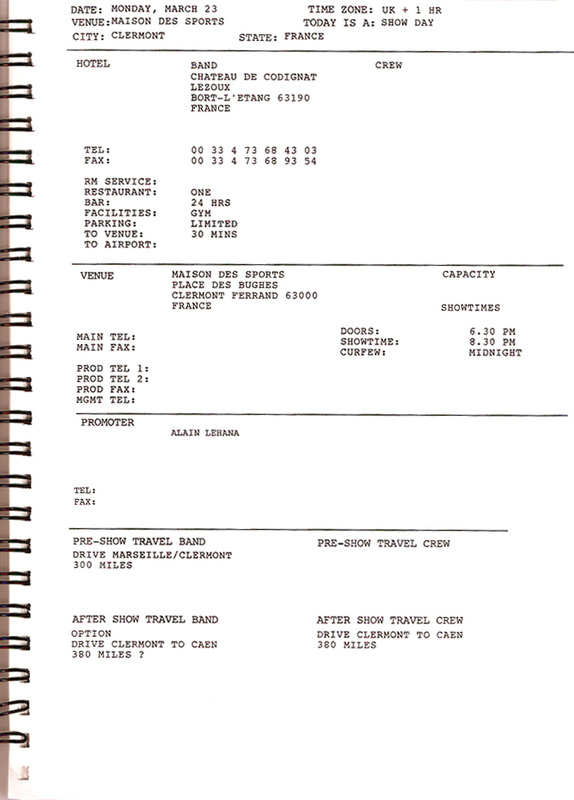 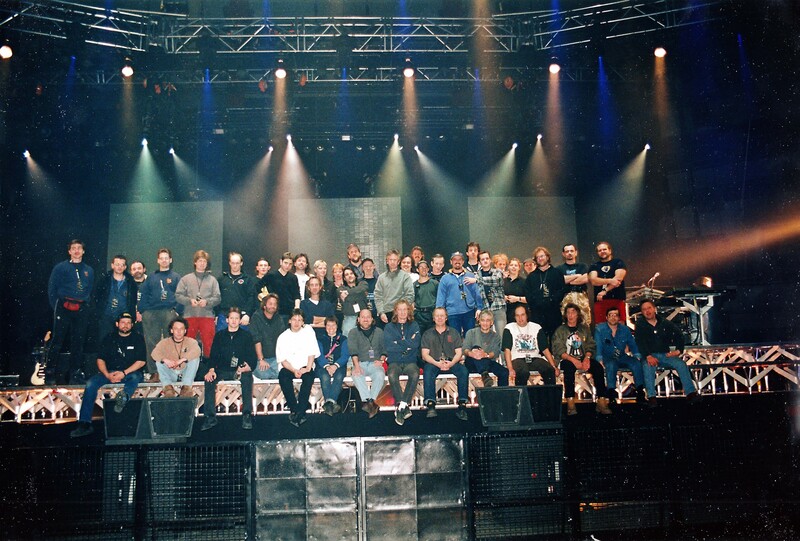 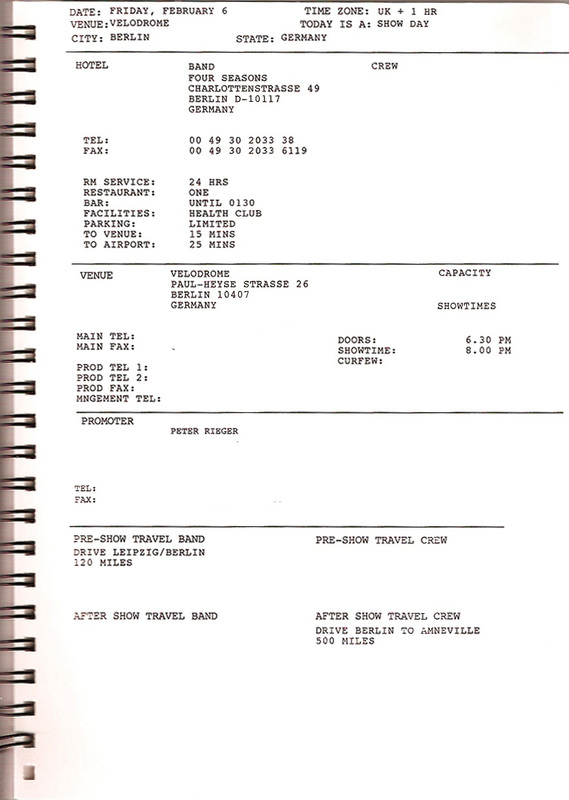 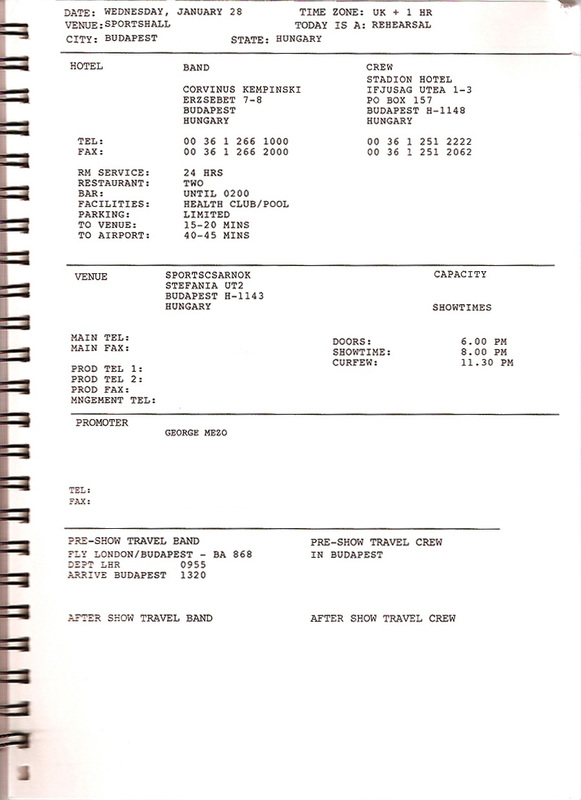 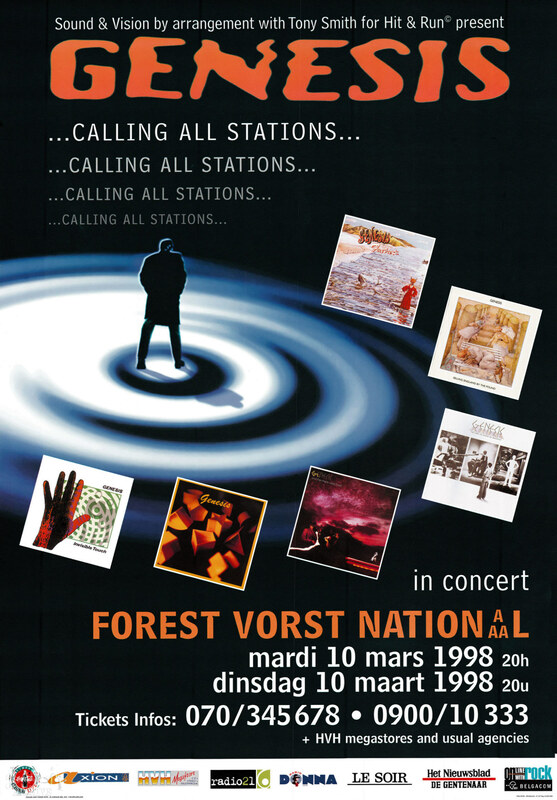 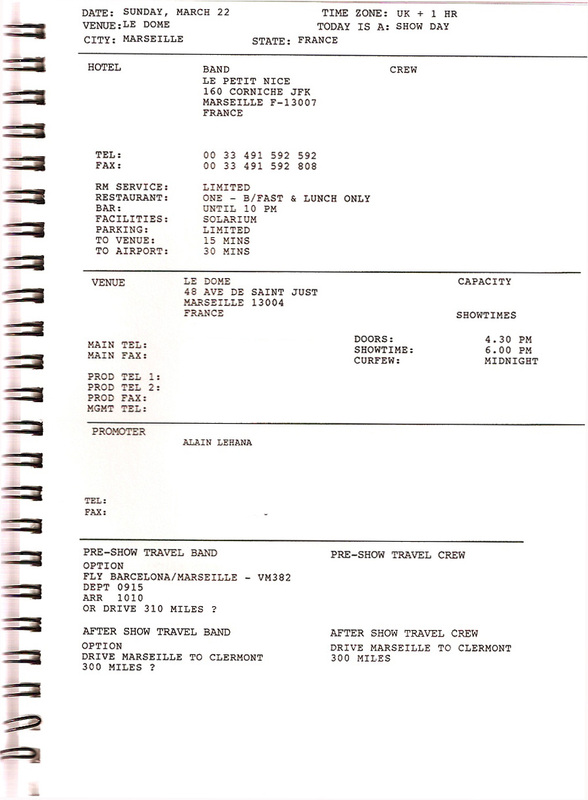 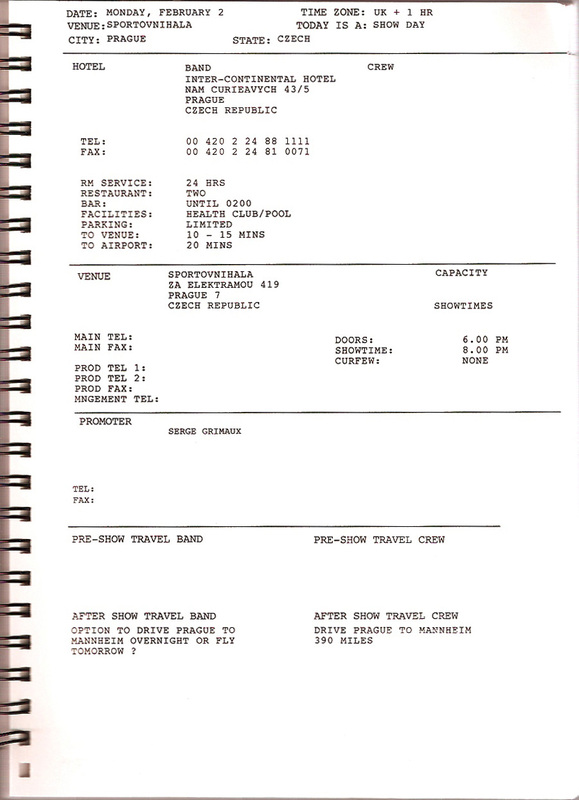 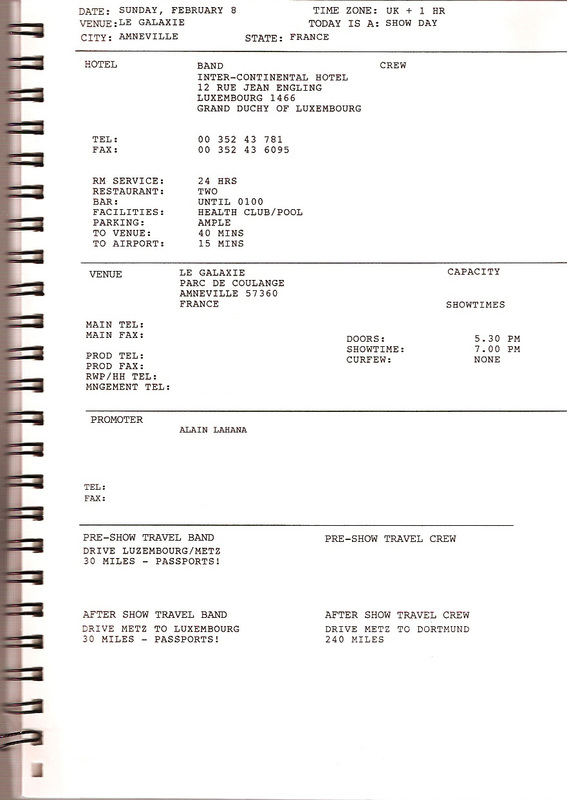 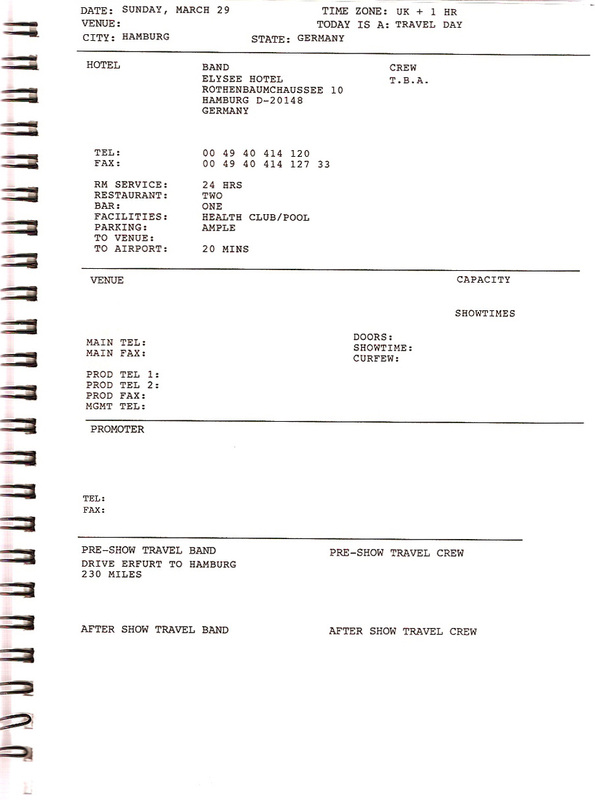 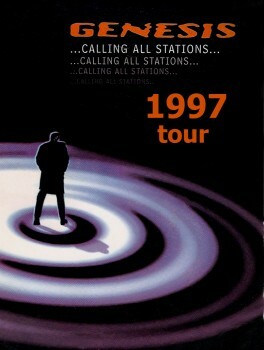 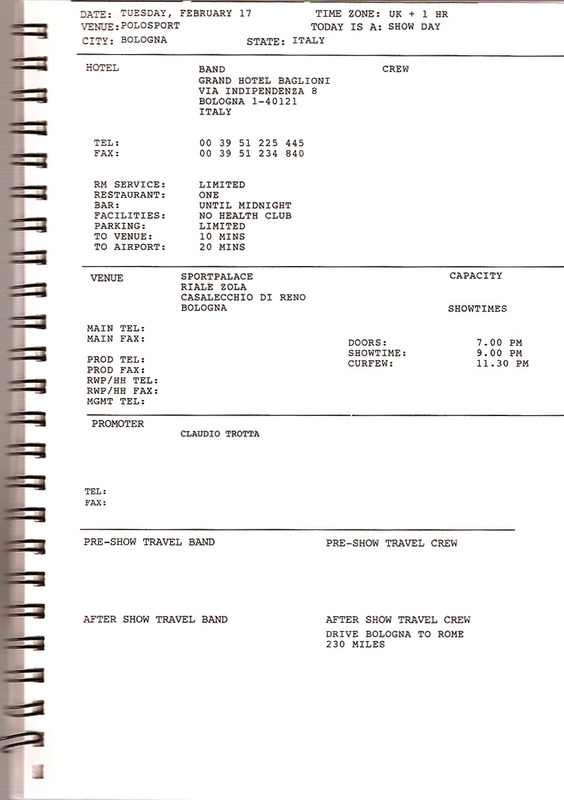 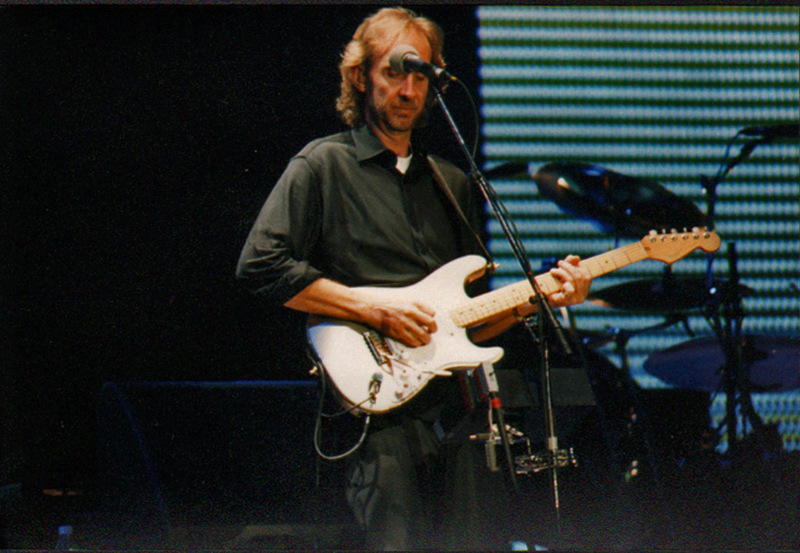 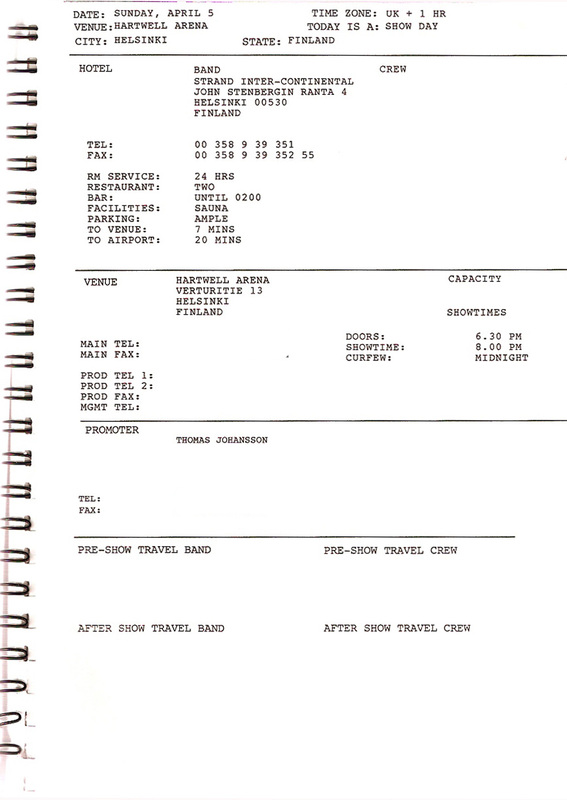 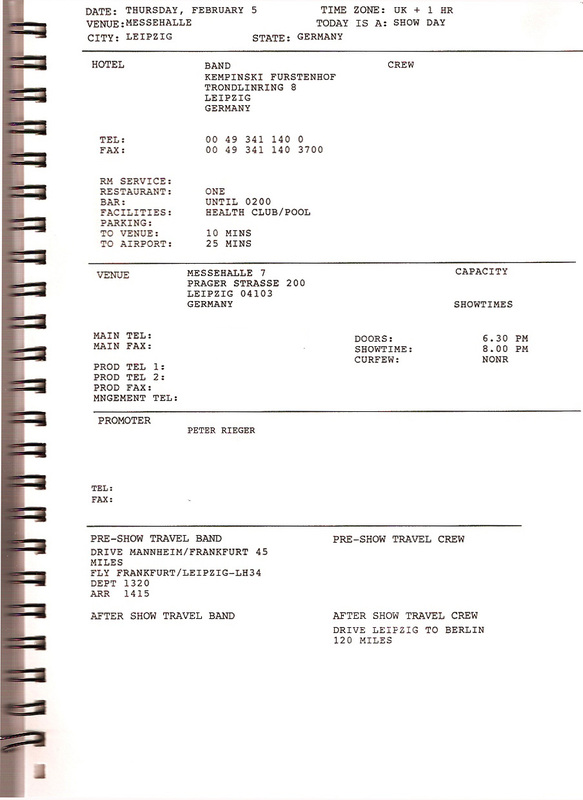 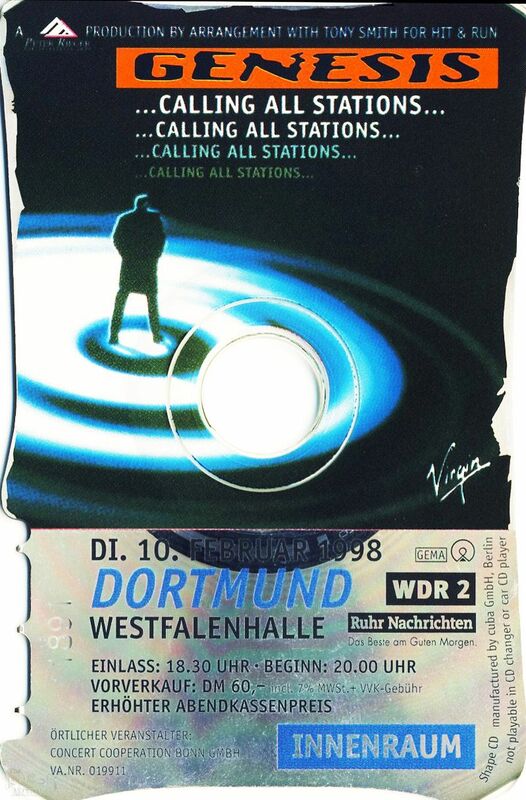 Calling All Stations tour, A ticket for the Amneville show on the 8th February 1998. 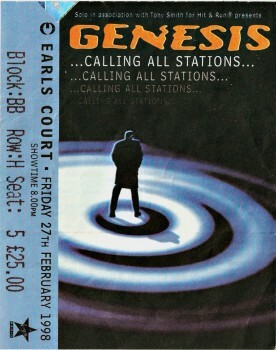 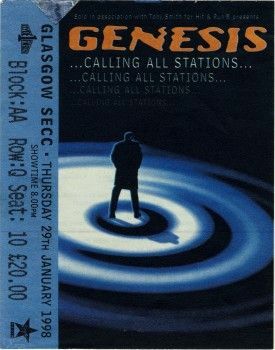 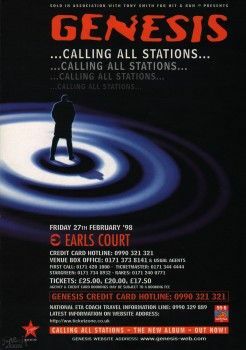 Calling All Stations tour, A ticket for the London Earls Court show on the 27th February 1998. 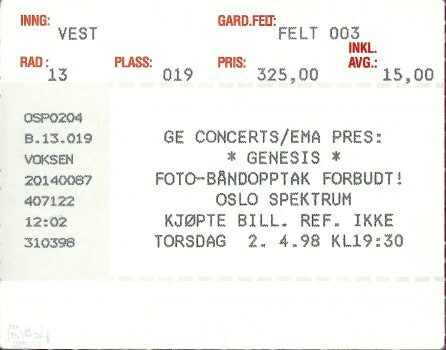 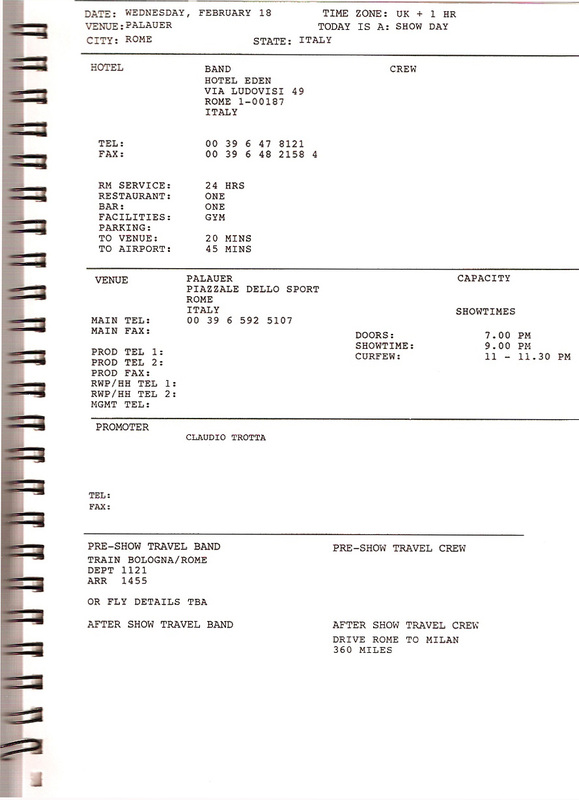 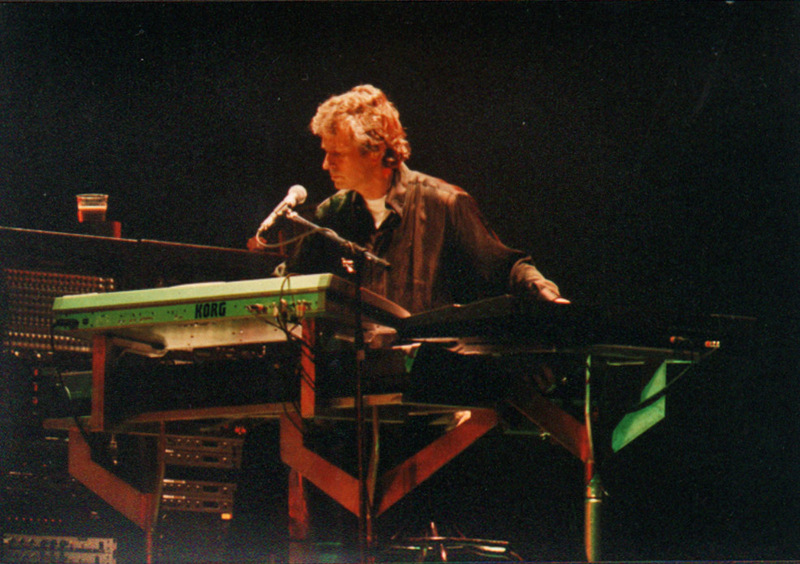 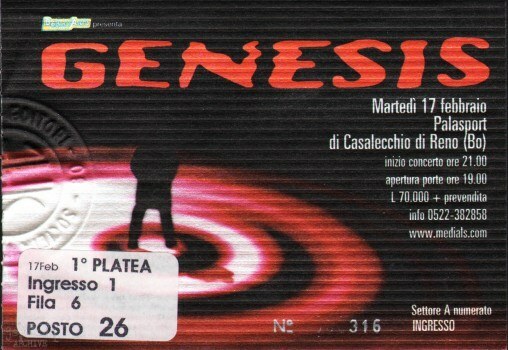 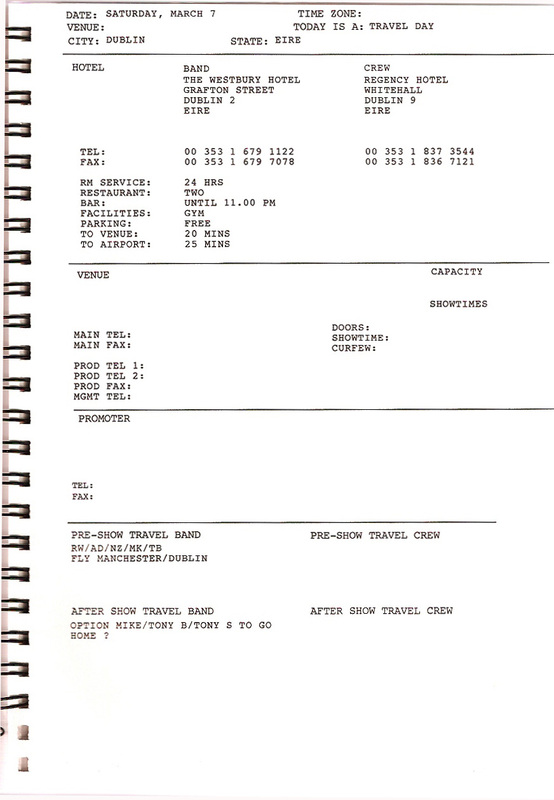 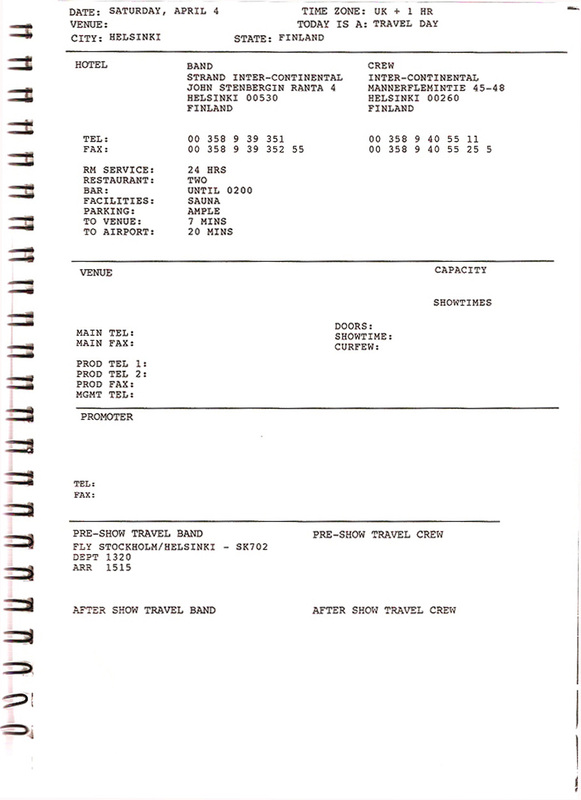 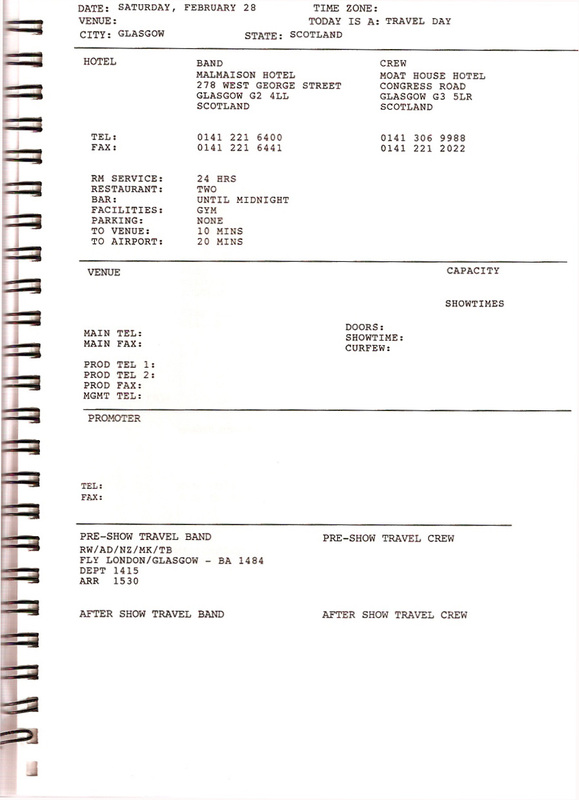 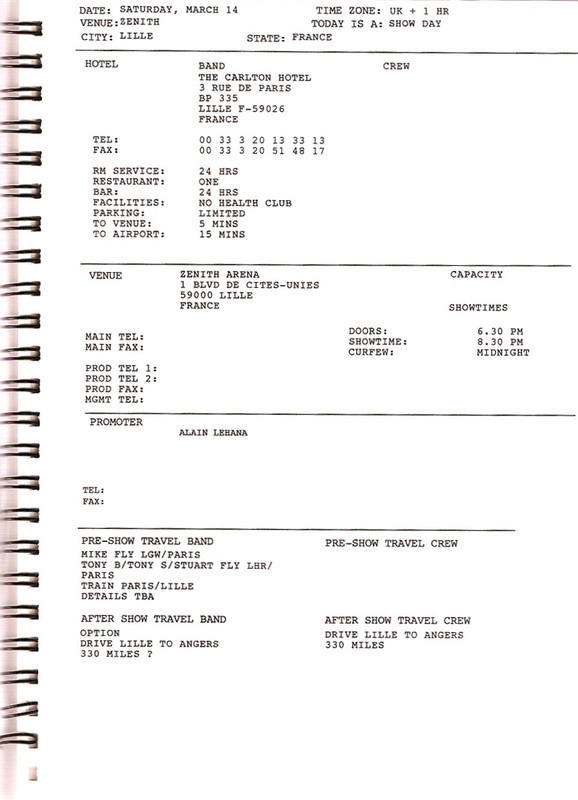 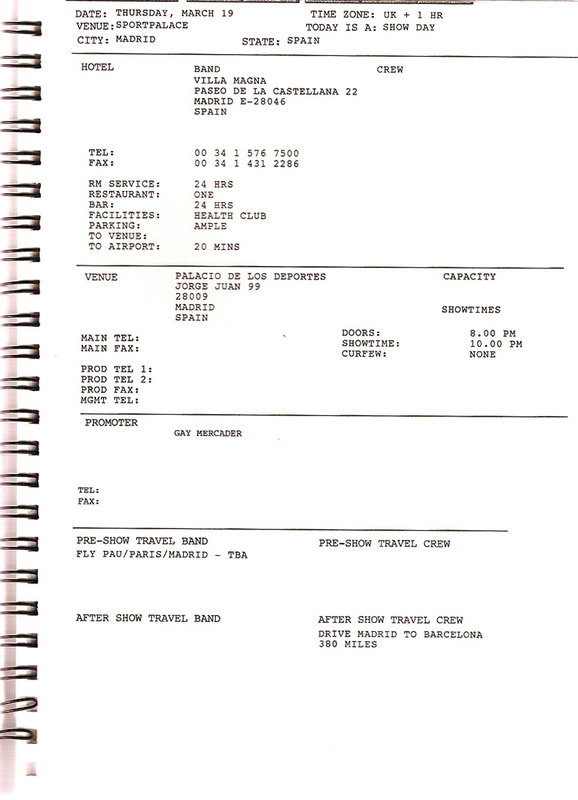 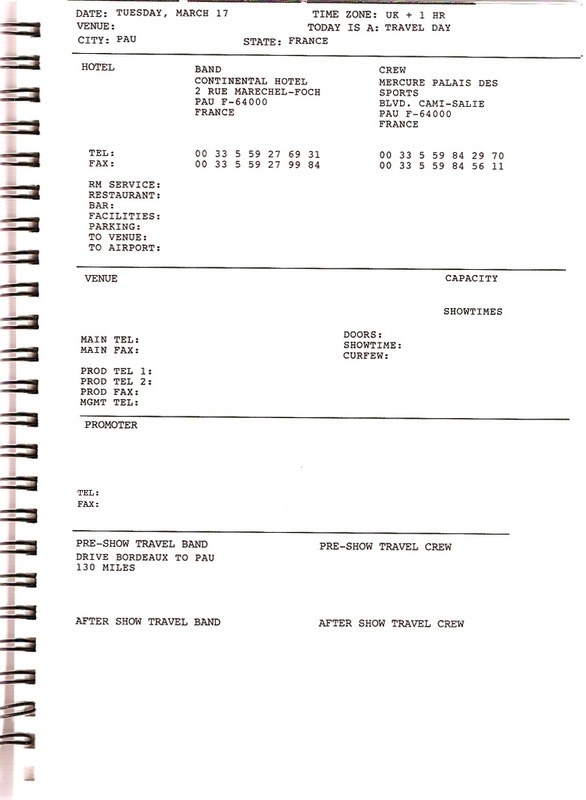 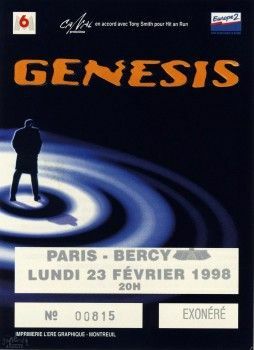 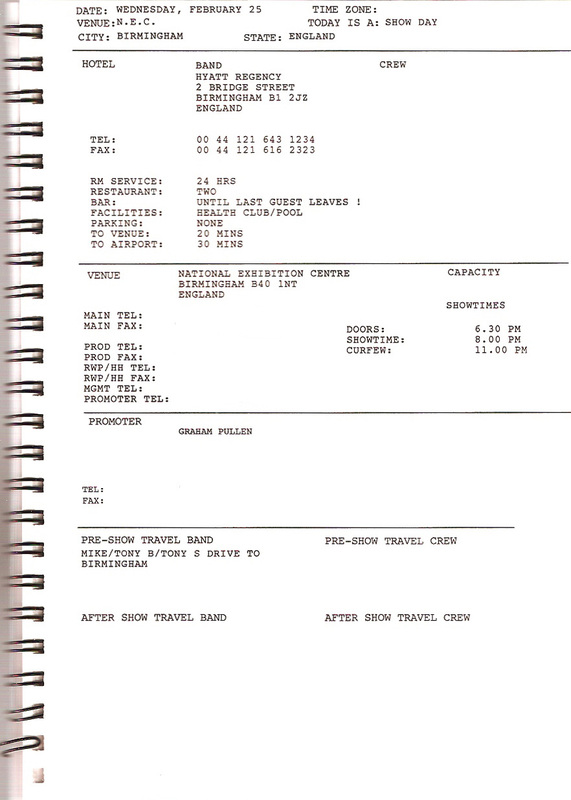 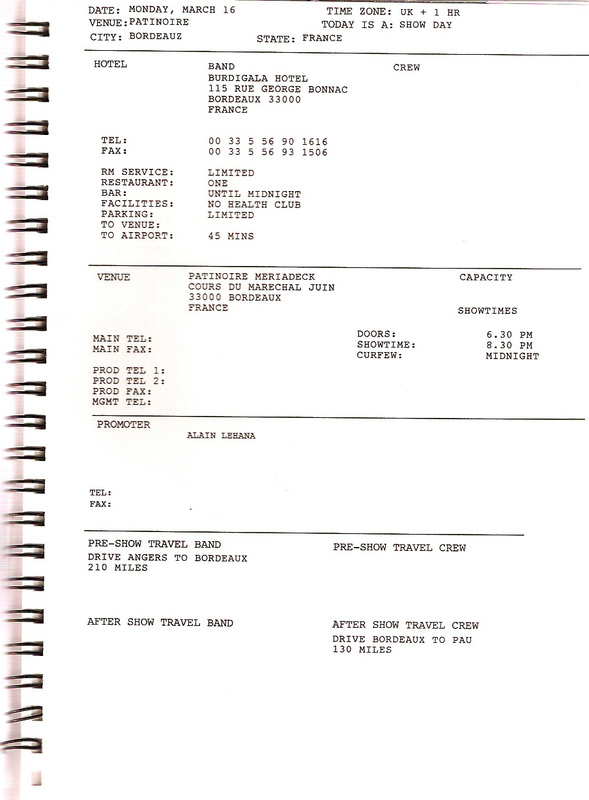 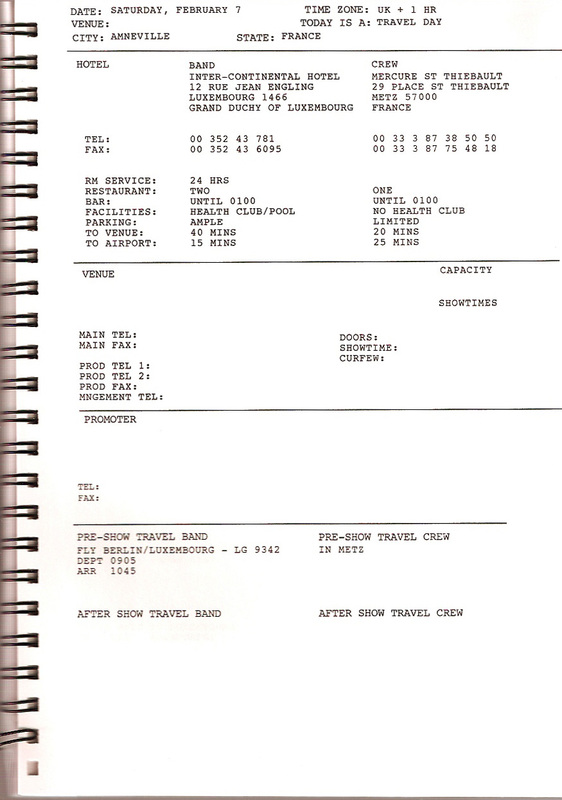 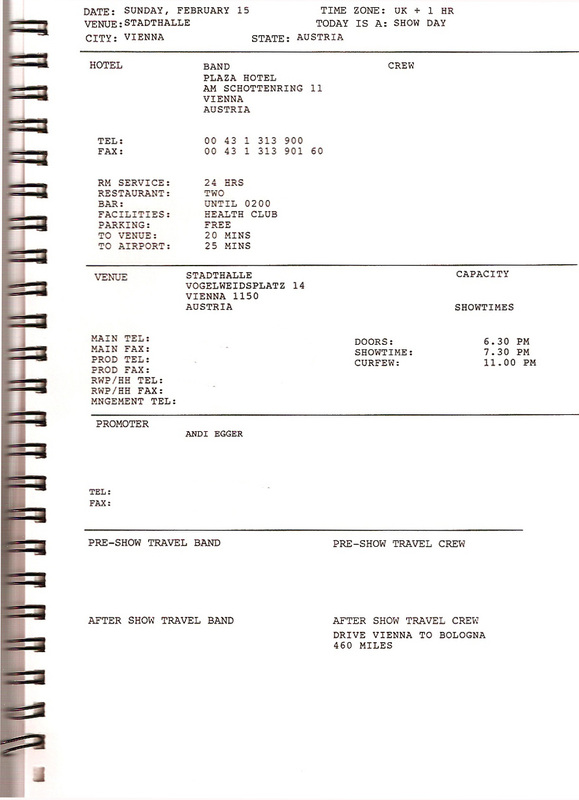 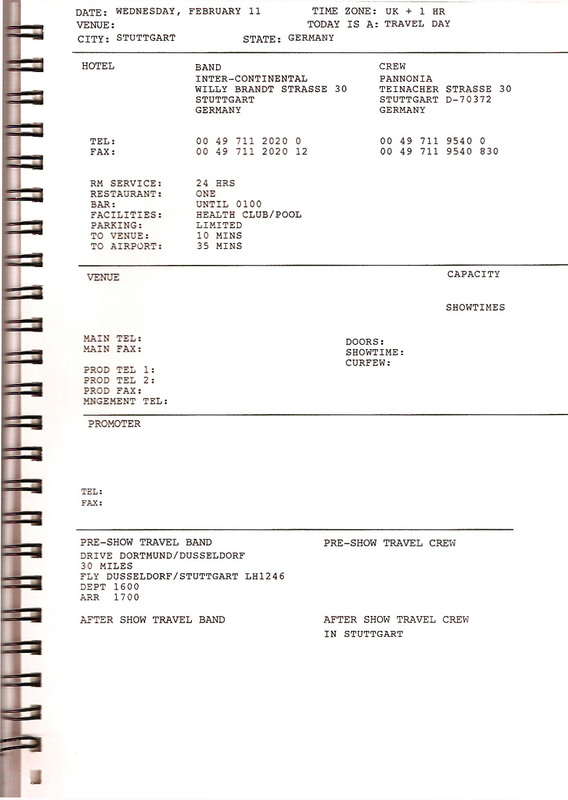 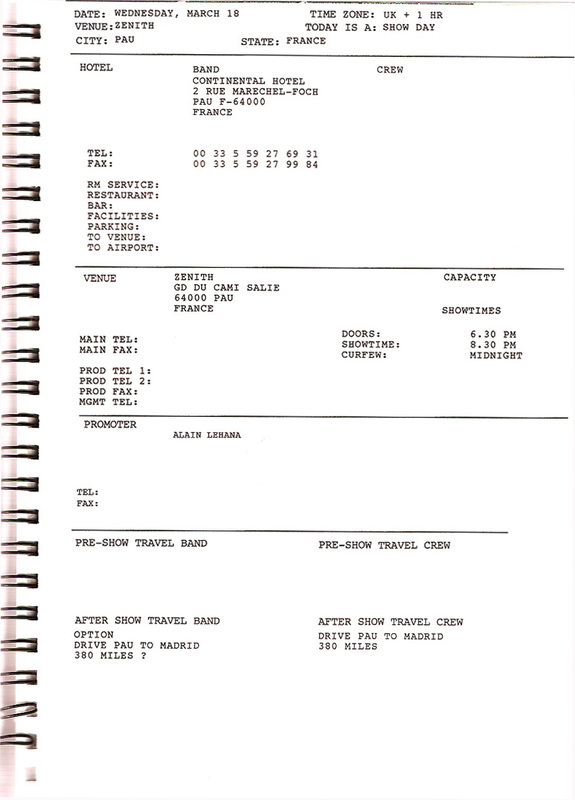 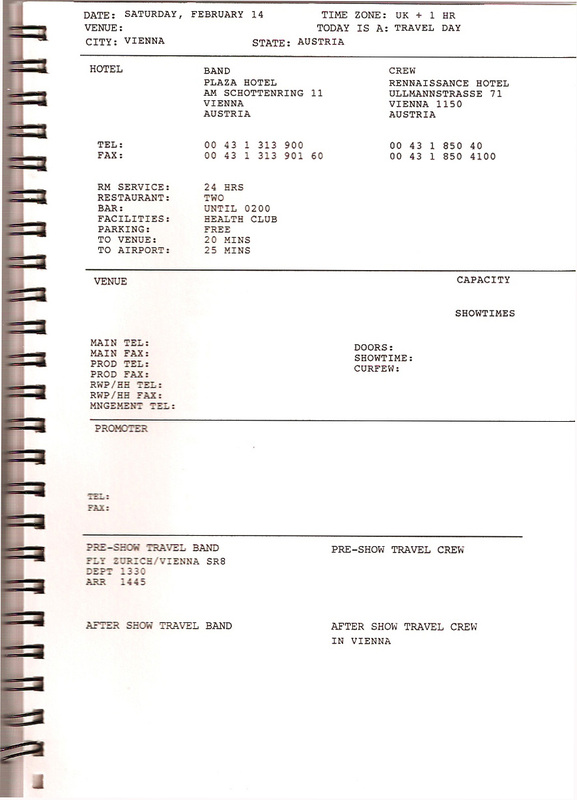 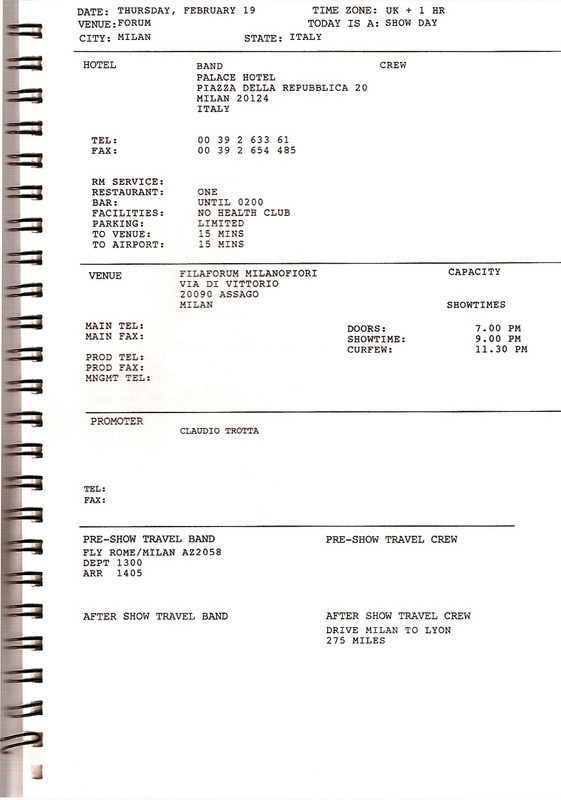 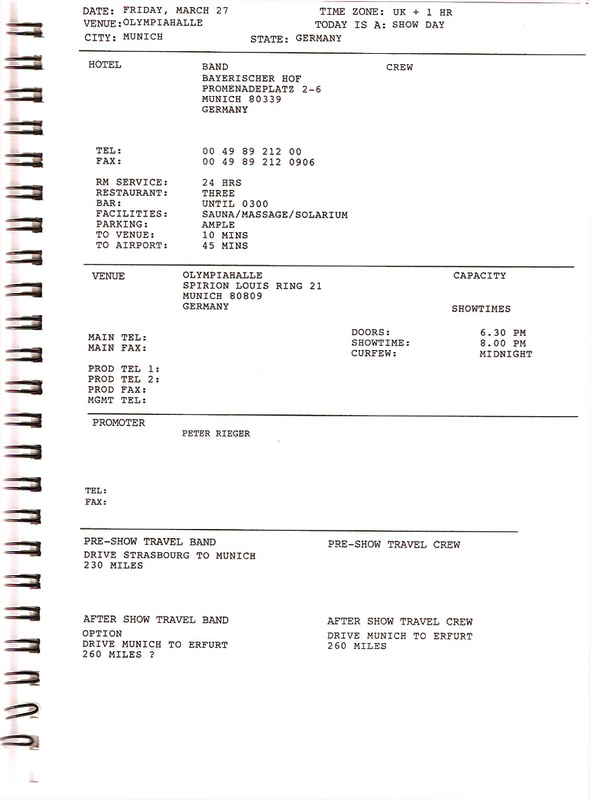 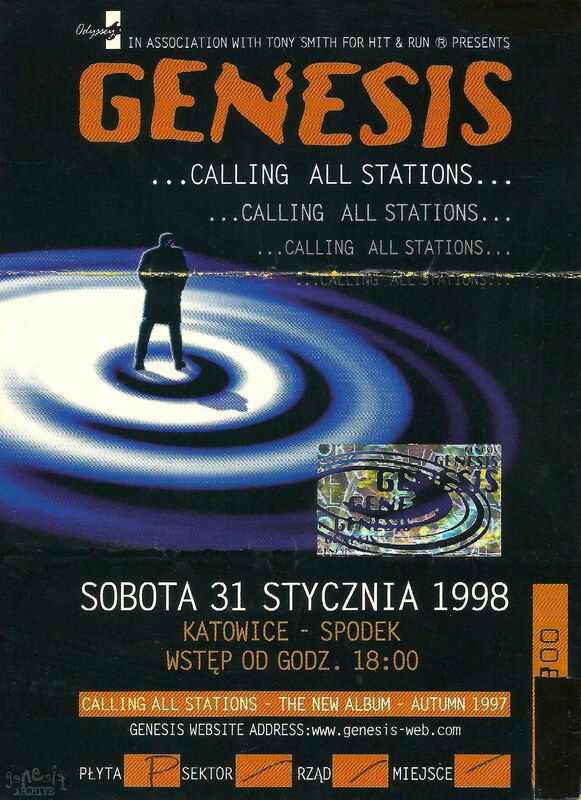 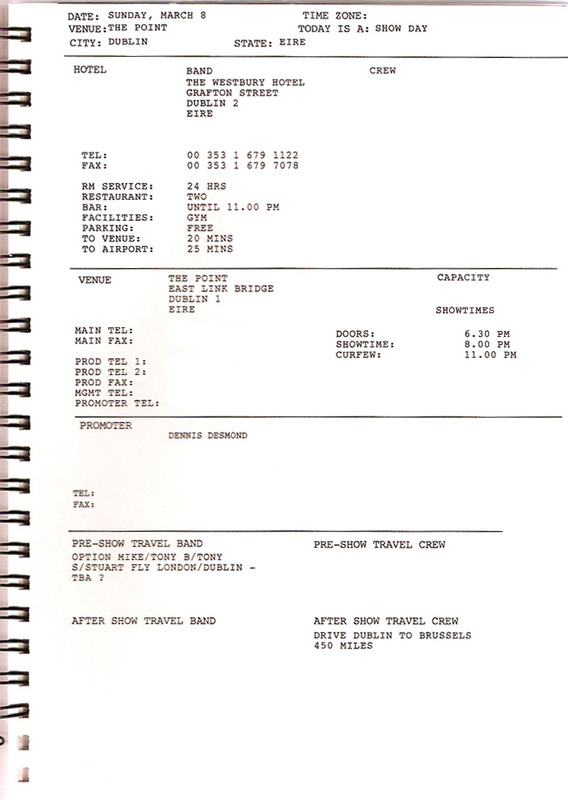 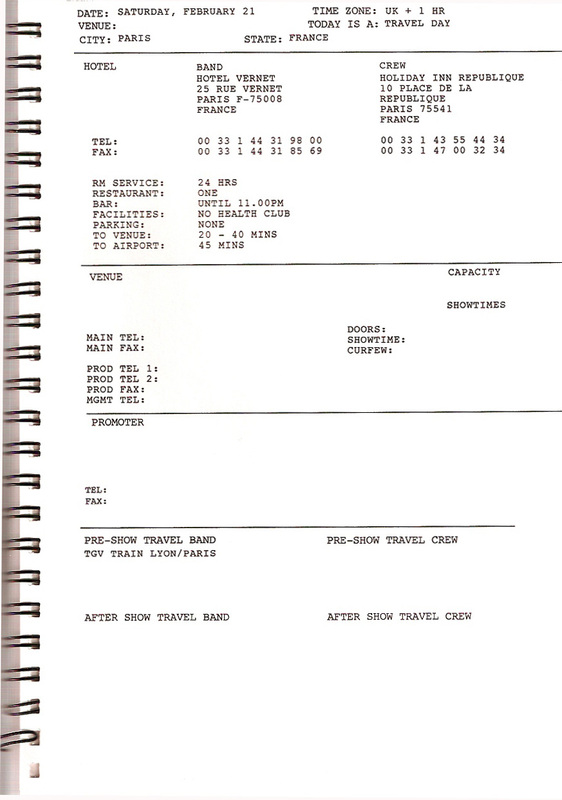 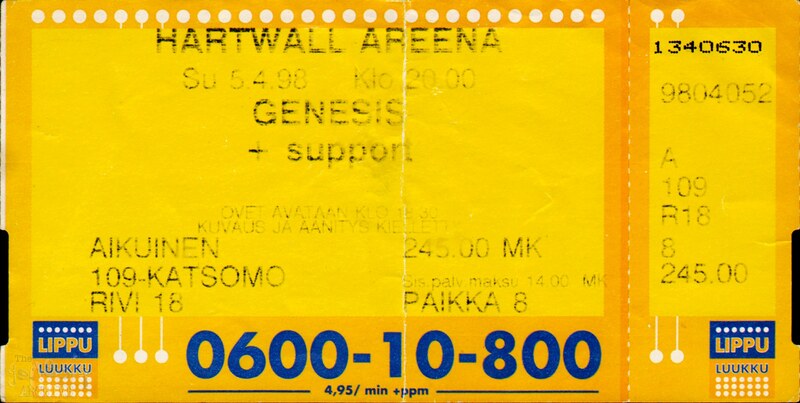 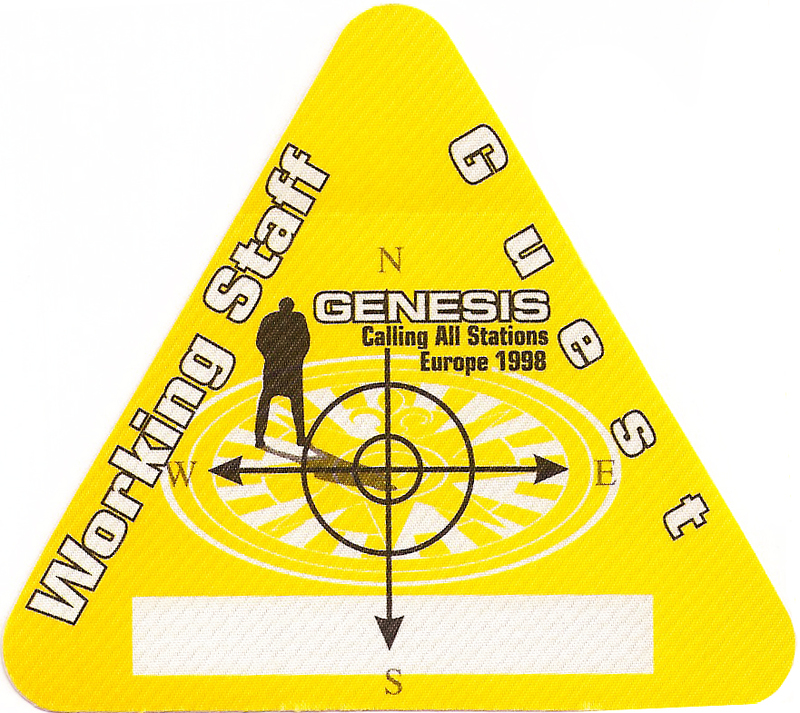 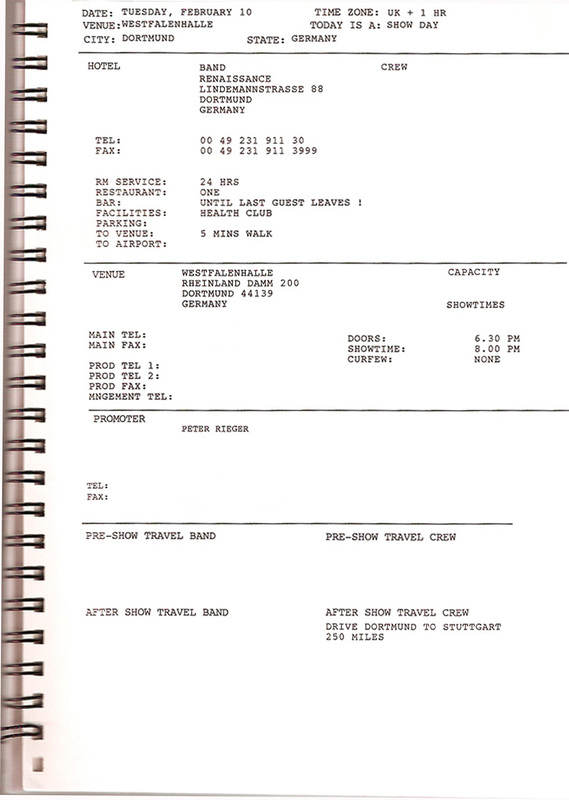 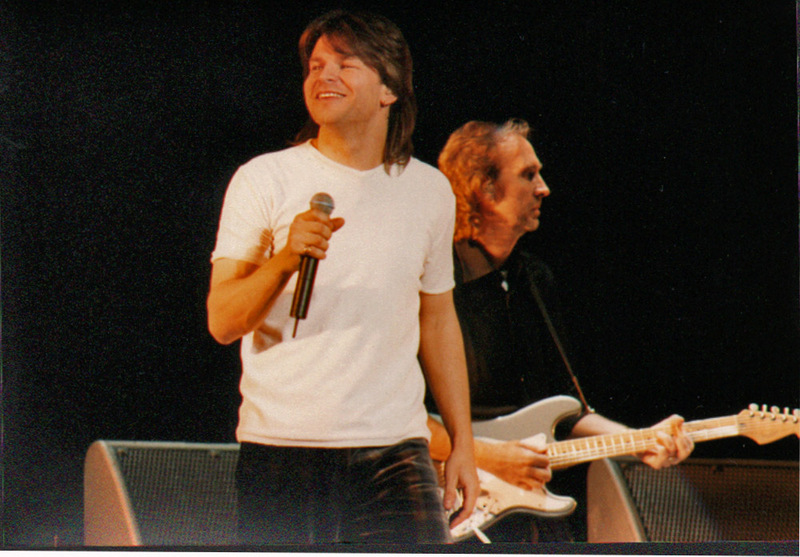 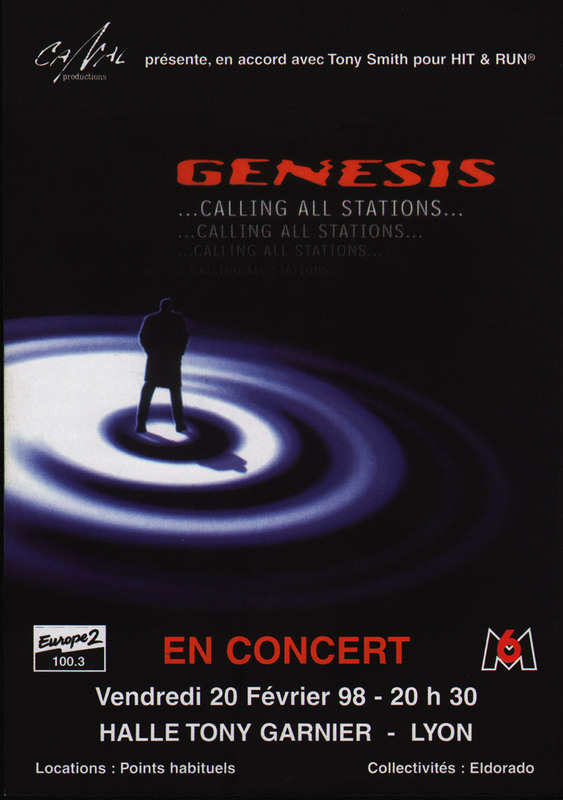 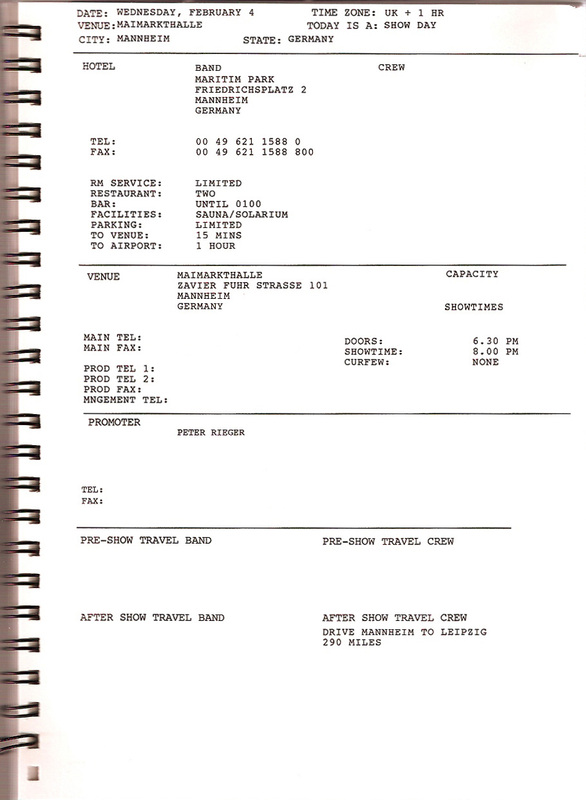 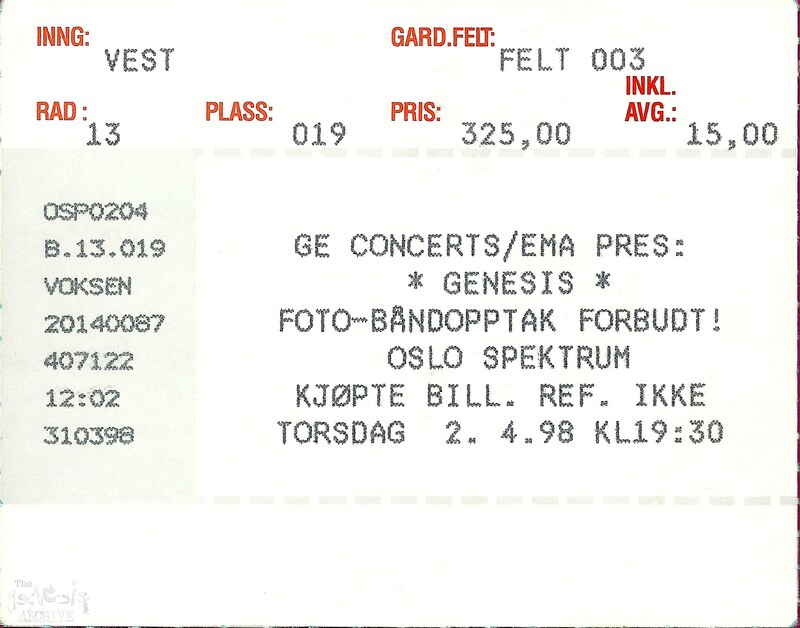 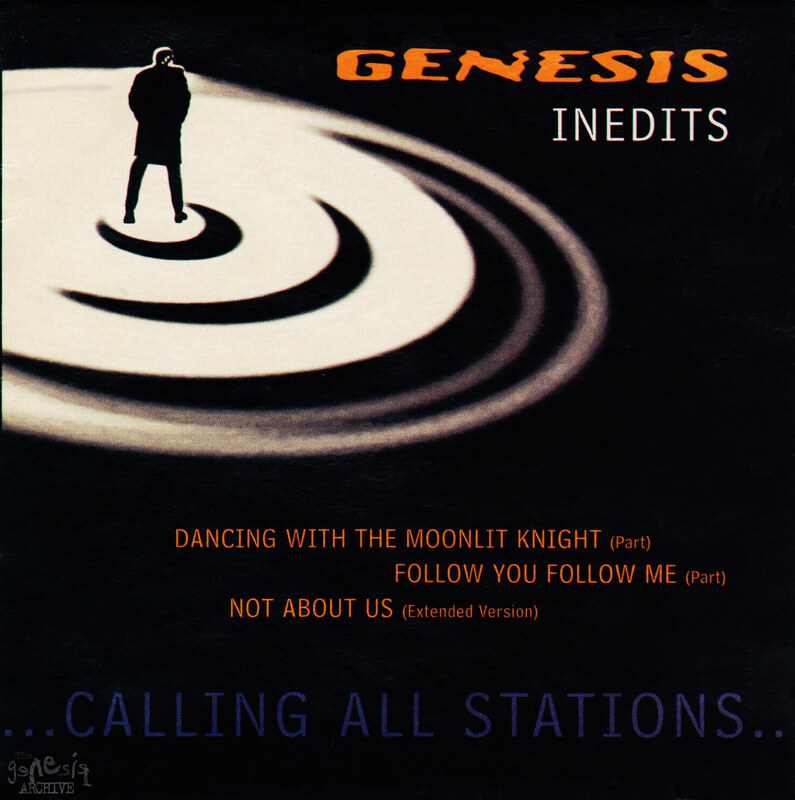 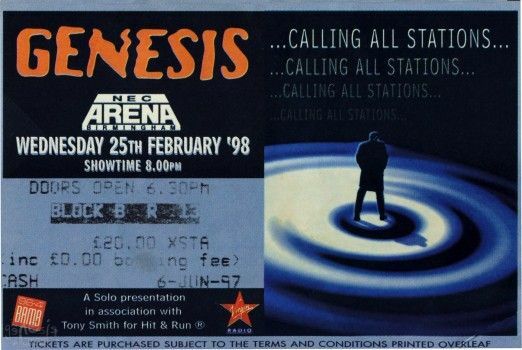 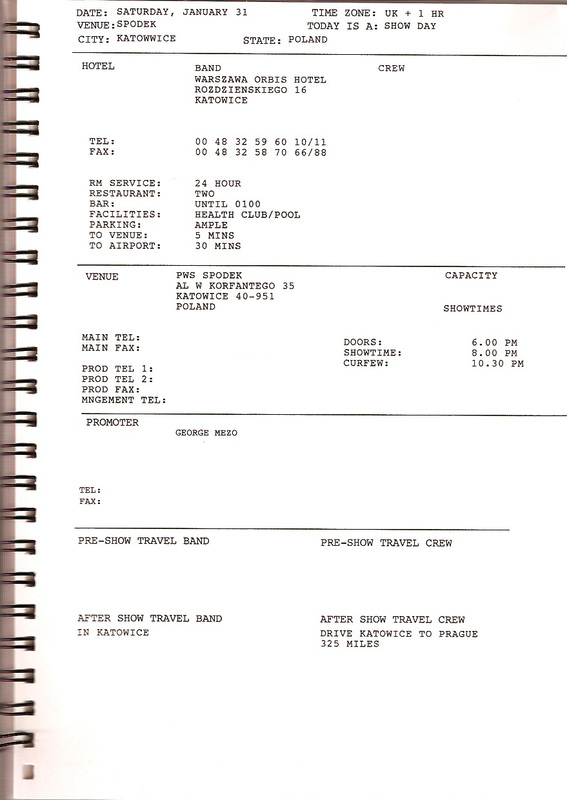 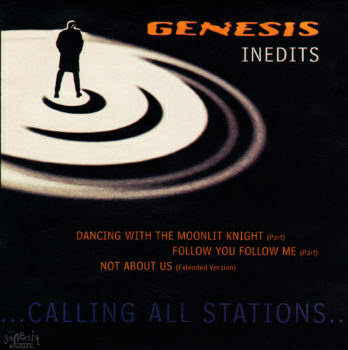 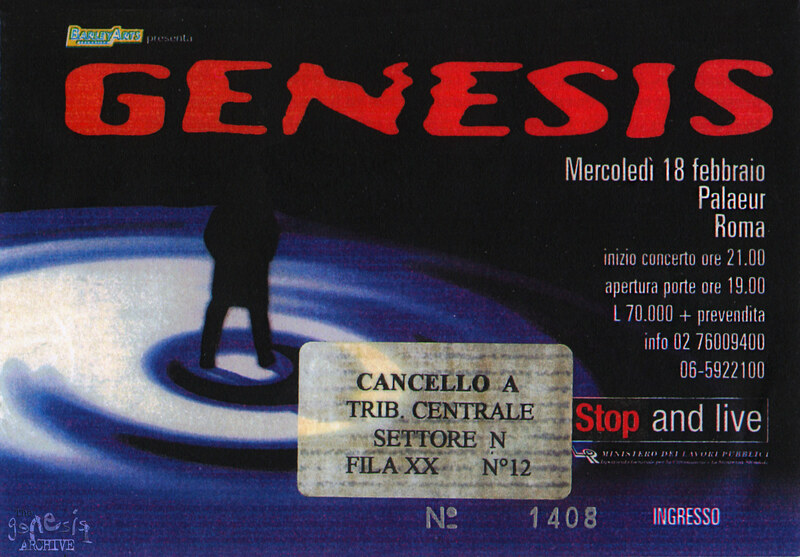 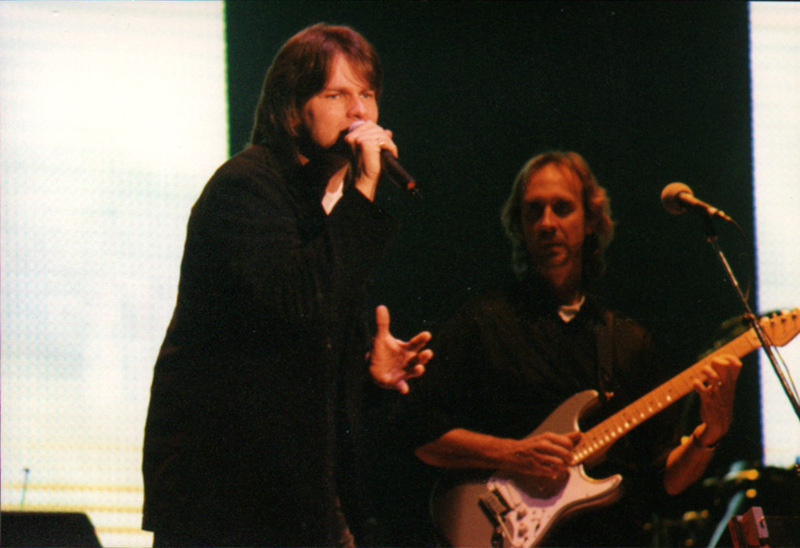 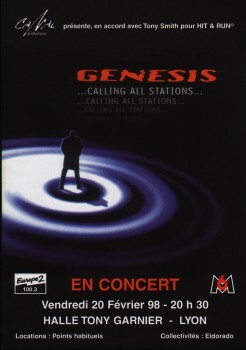 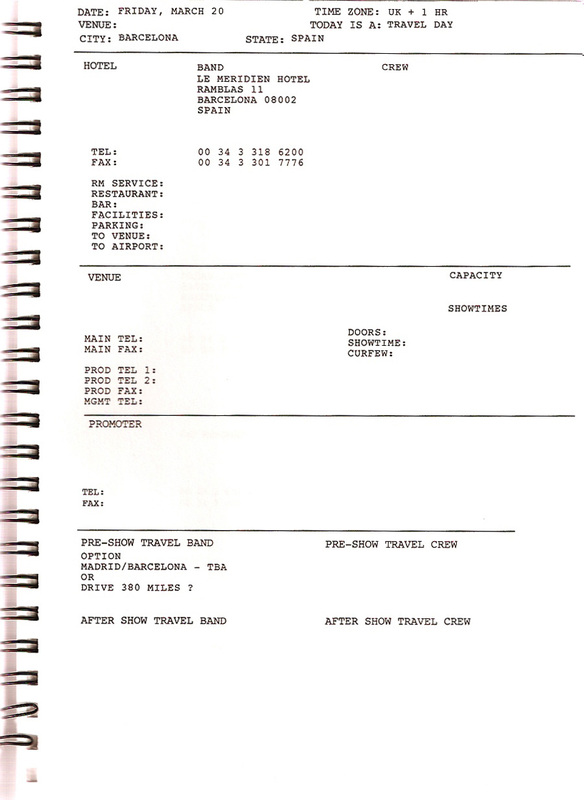 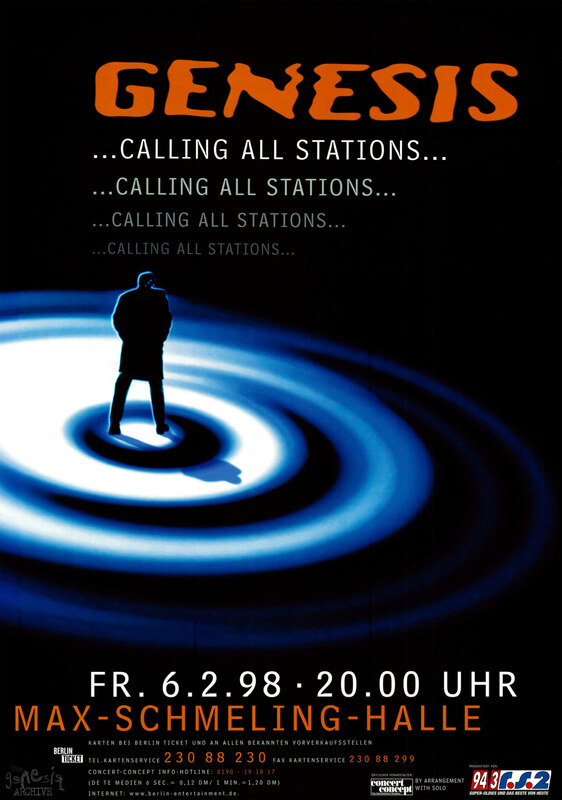 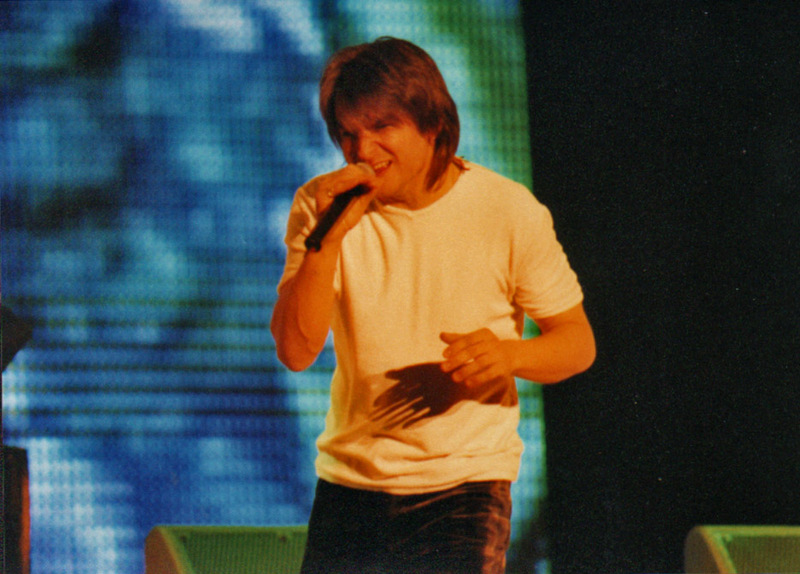 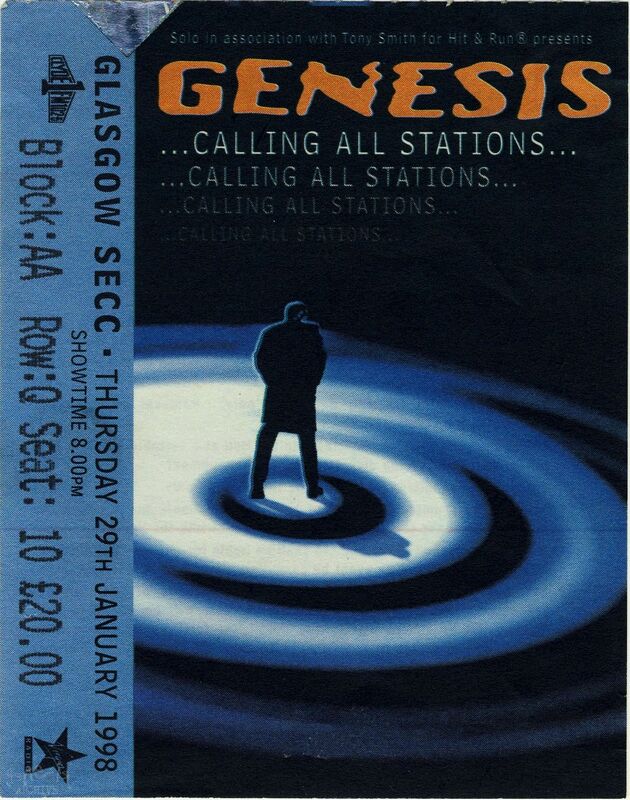 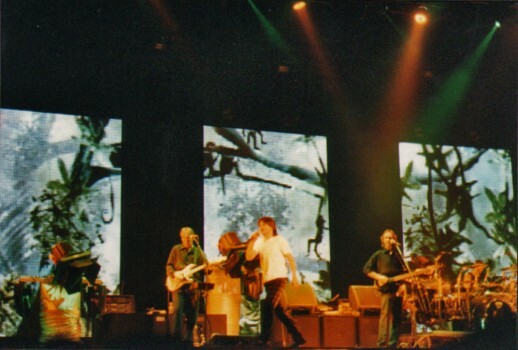 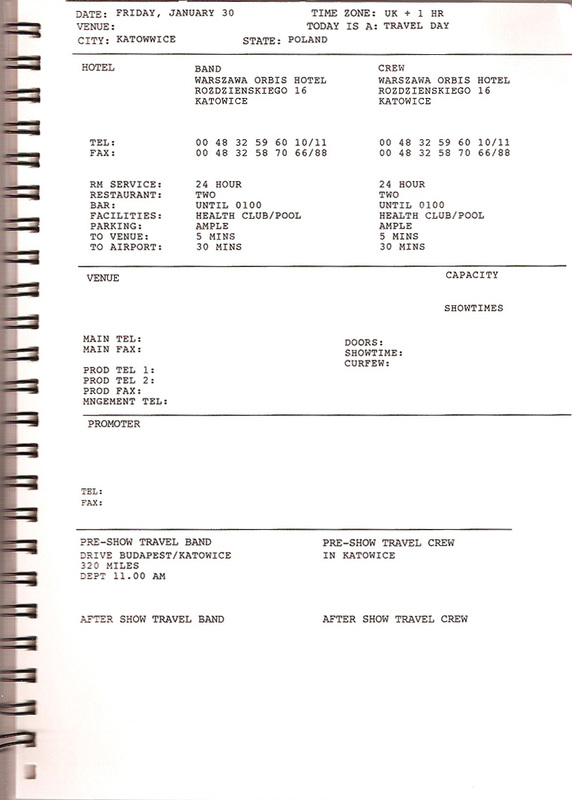 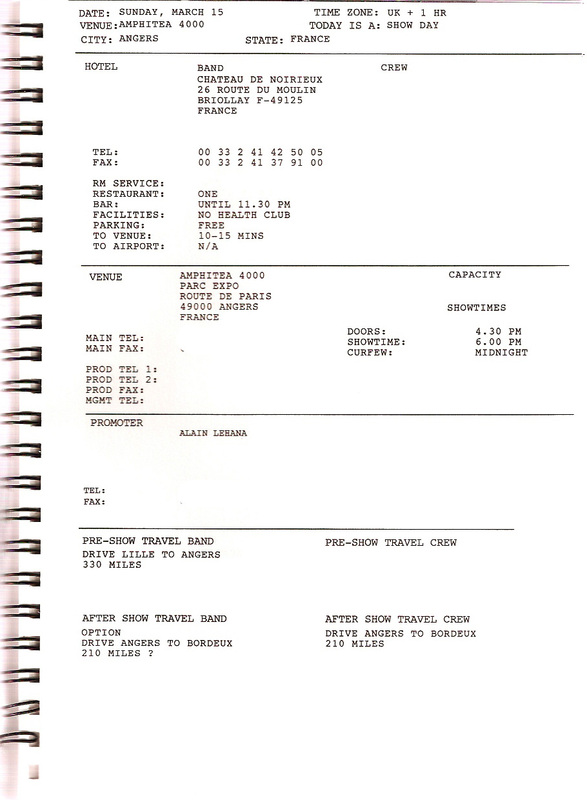 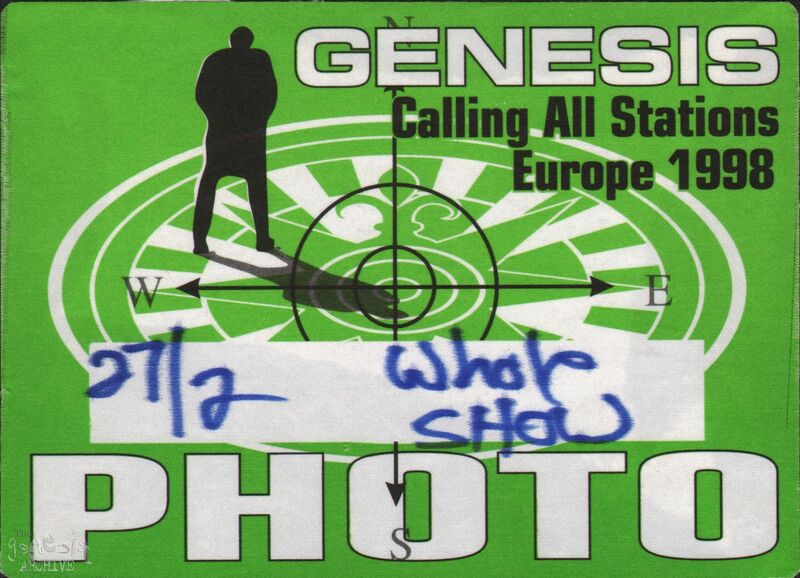 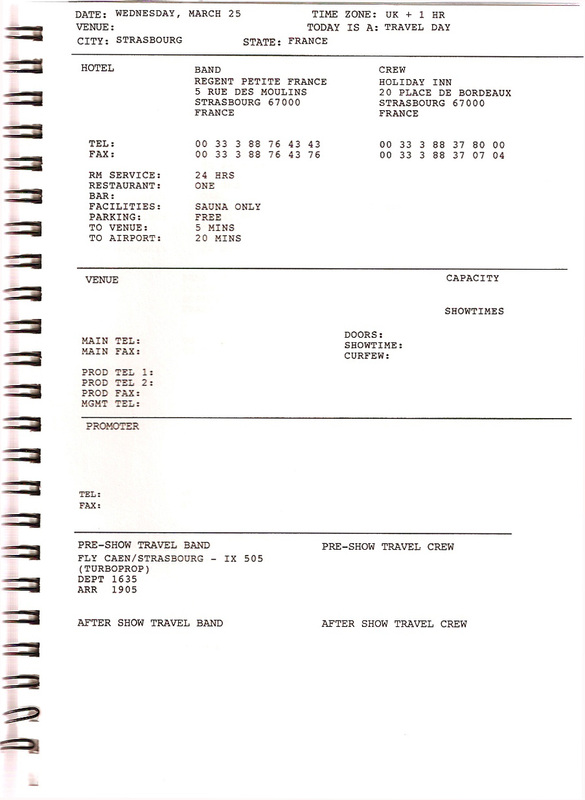 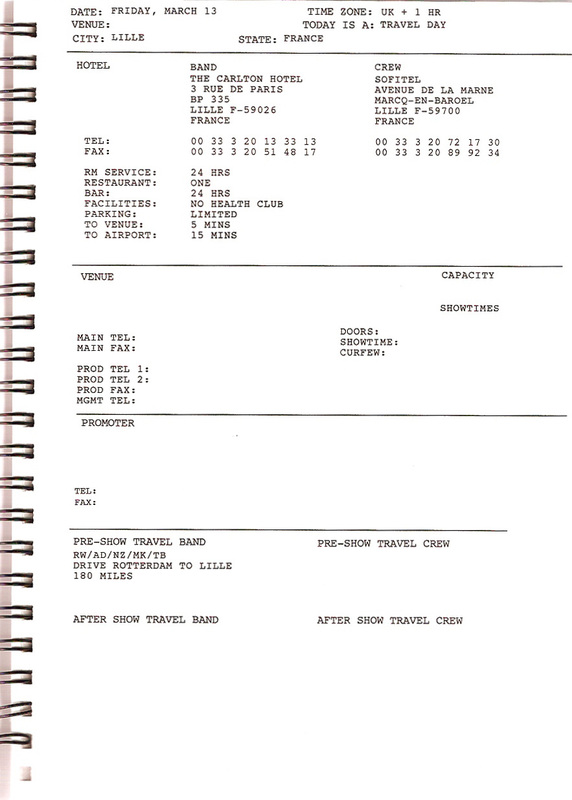 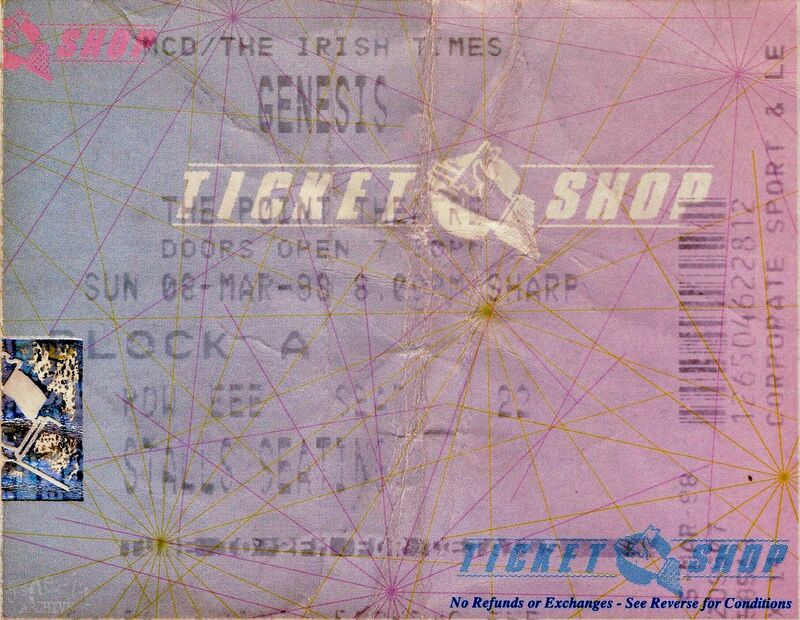 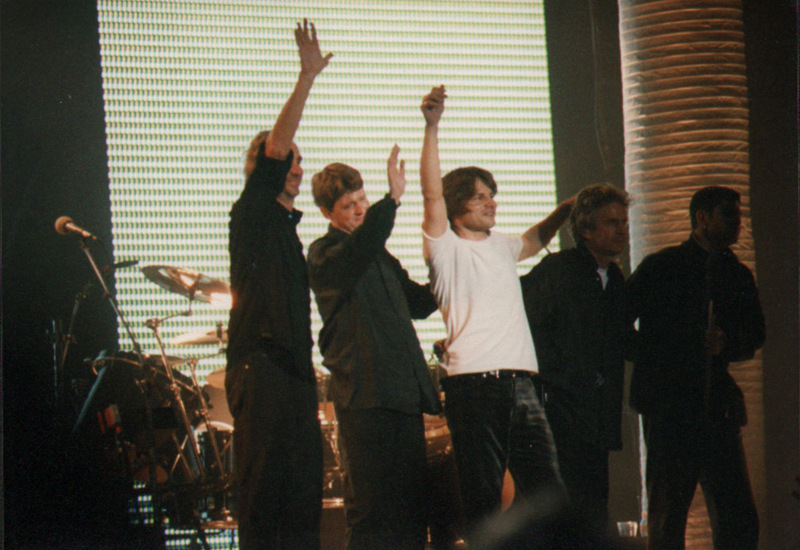 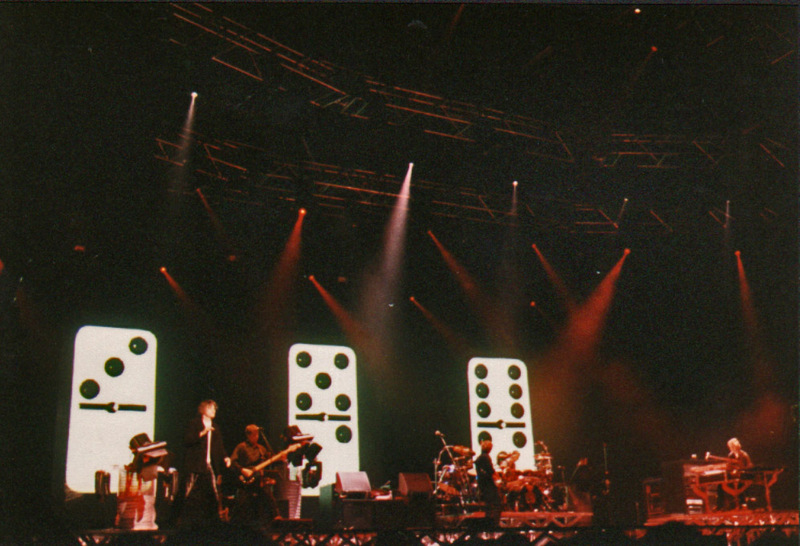 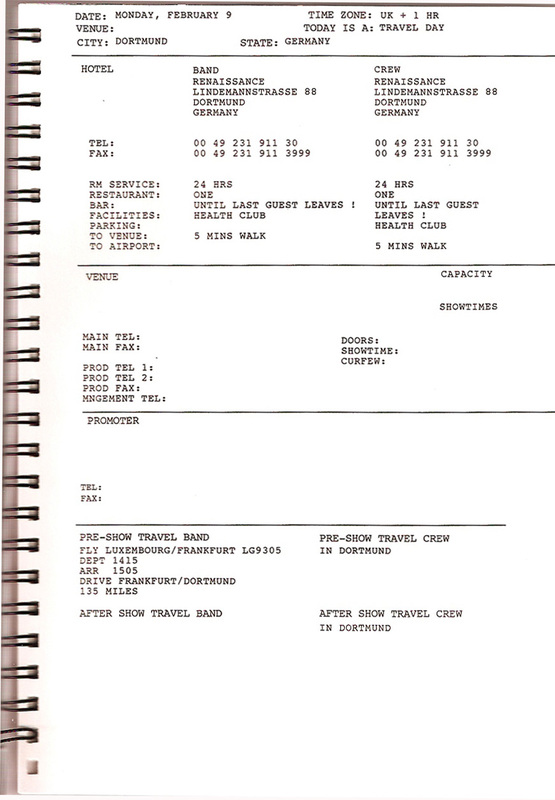 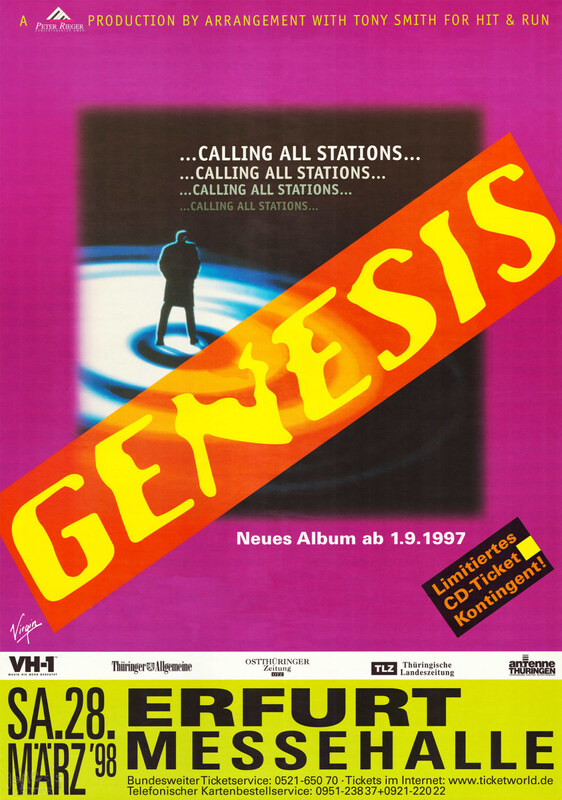 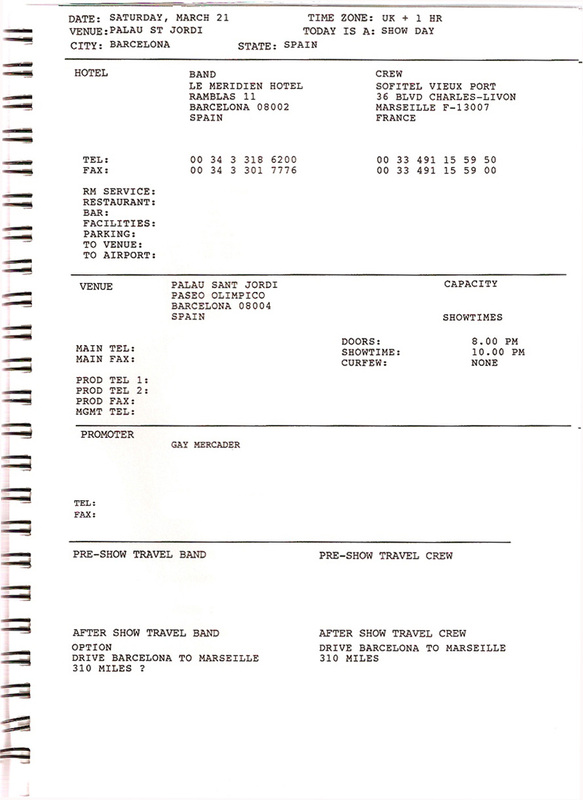 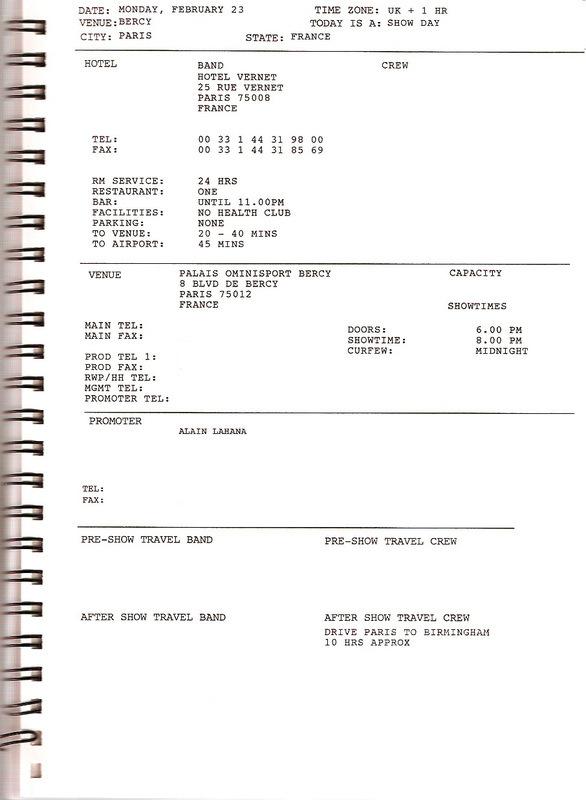 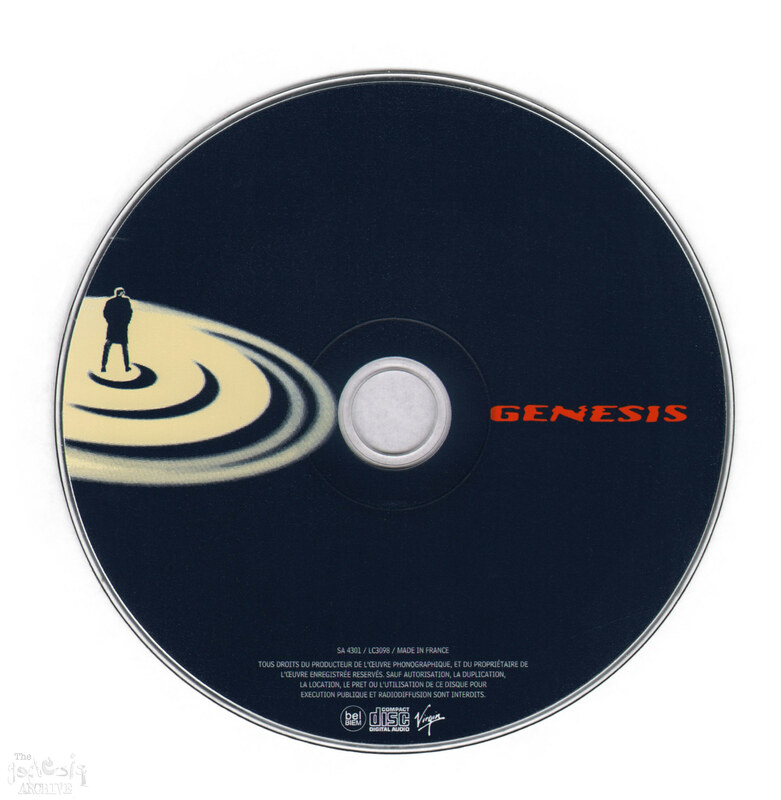 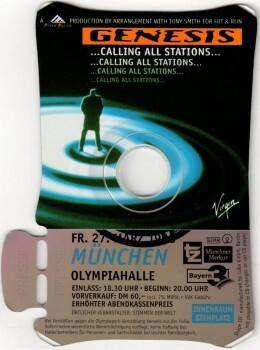 Calling All Stations tour, A ticket for the Pau – Zenith show on the 18th March 1998. 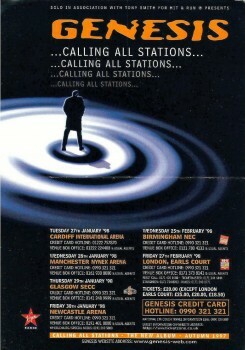 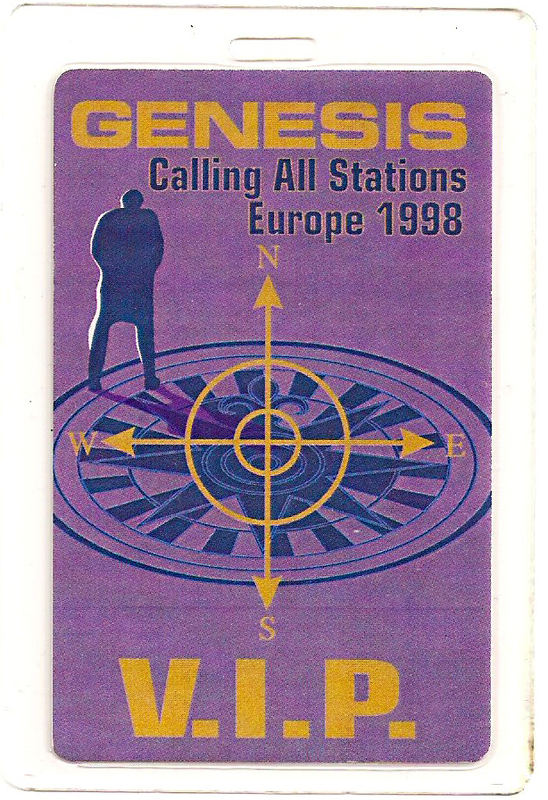 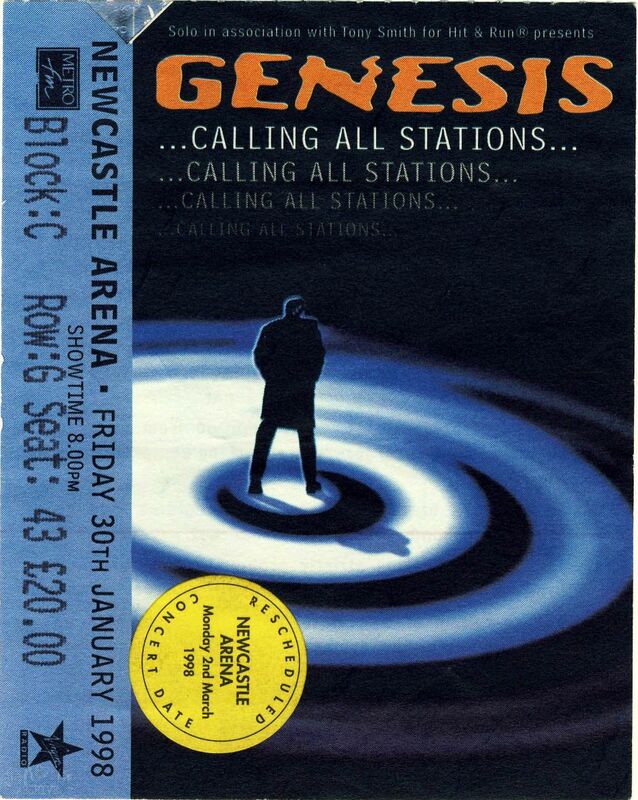 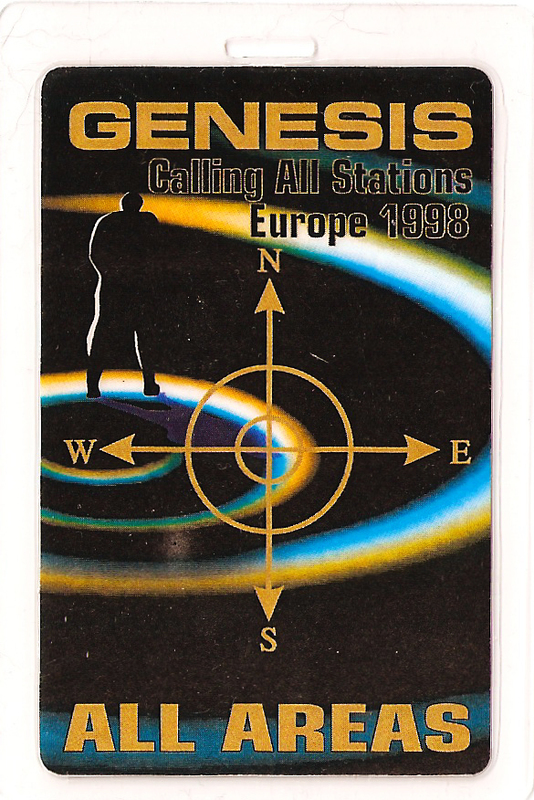 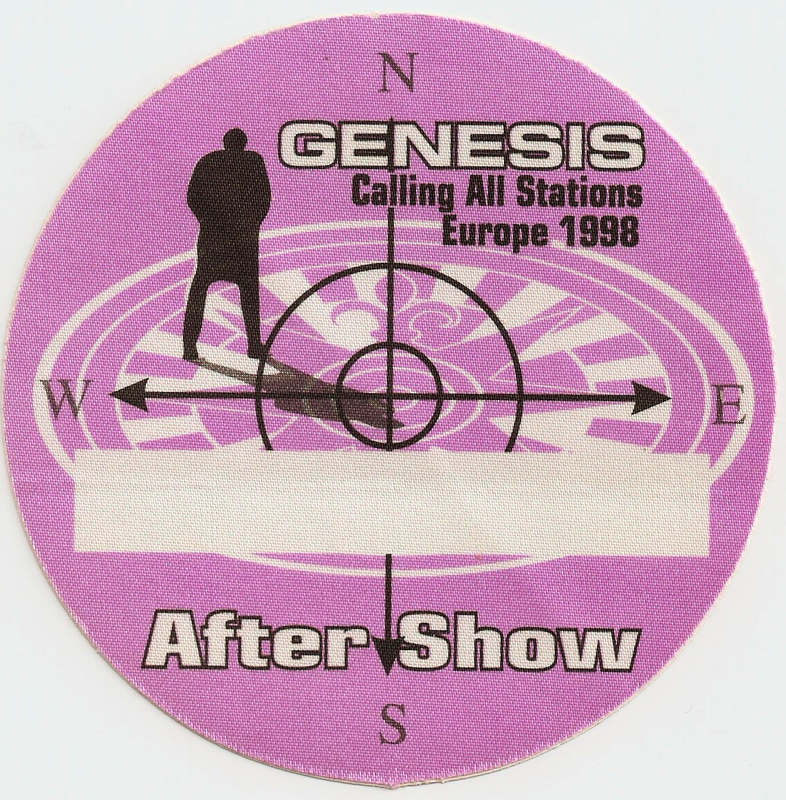 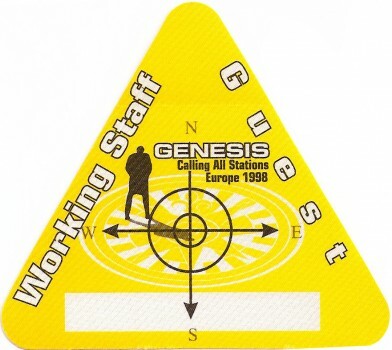 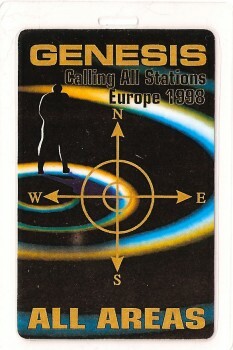 Calling All Stations tour, A ticket for the Caen show on the 24th March 1998. 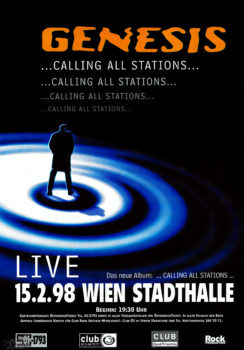 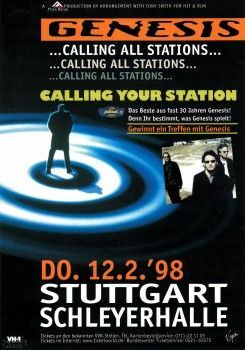 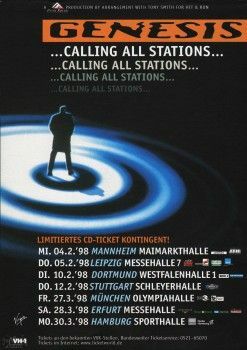 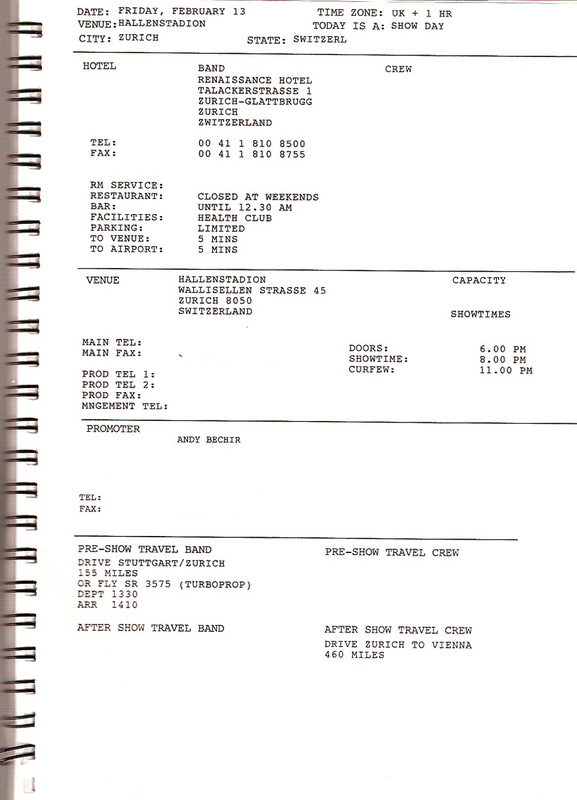 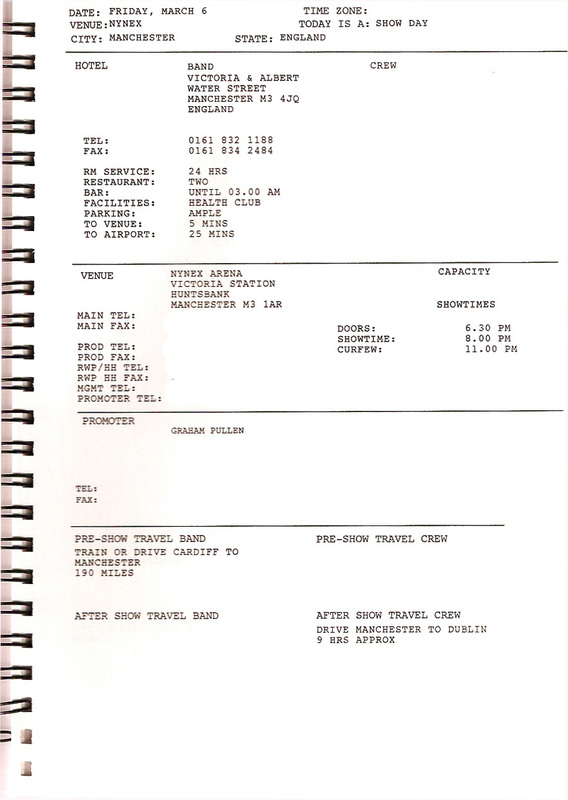 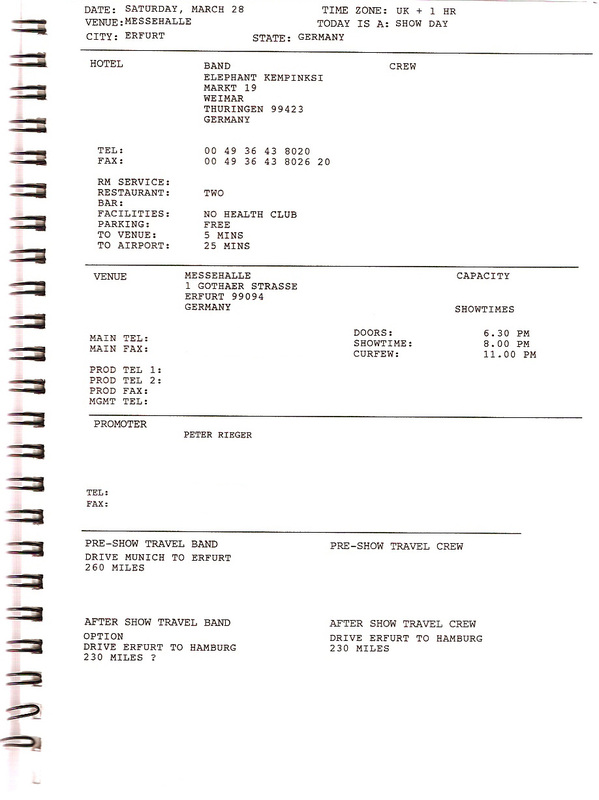 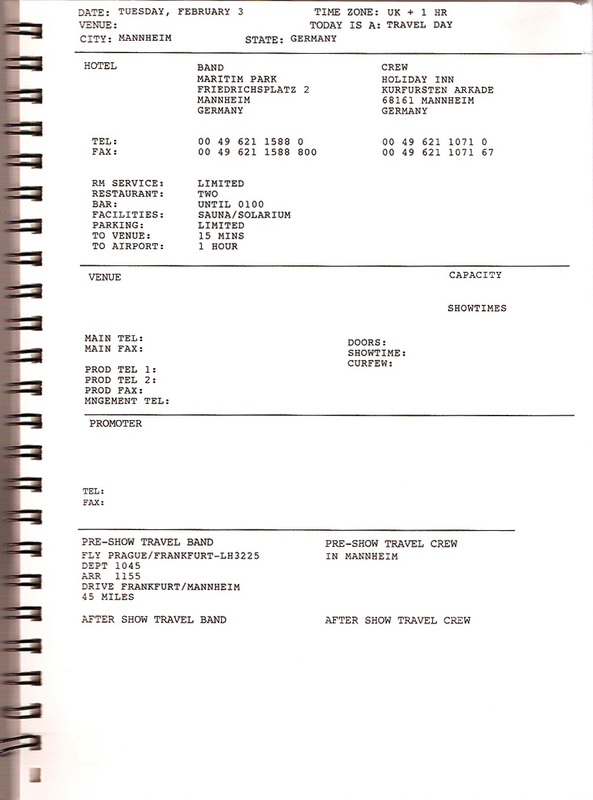 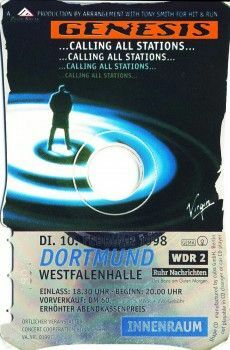 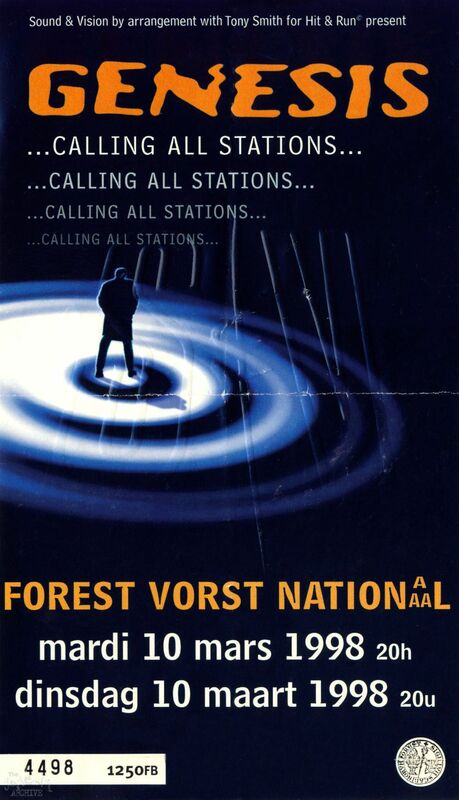 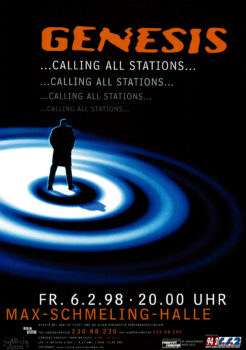 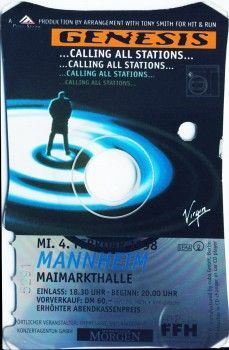 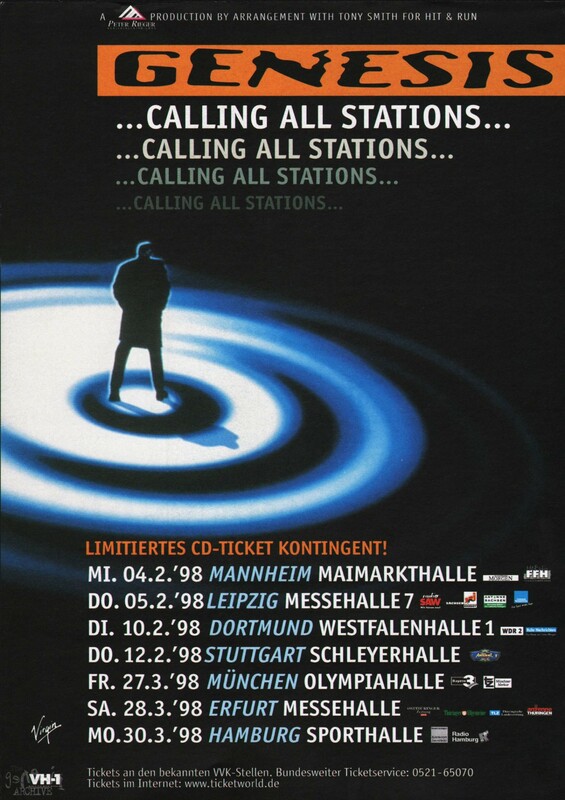 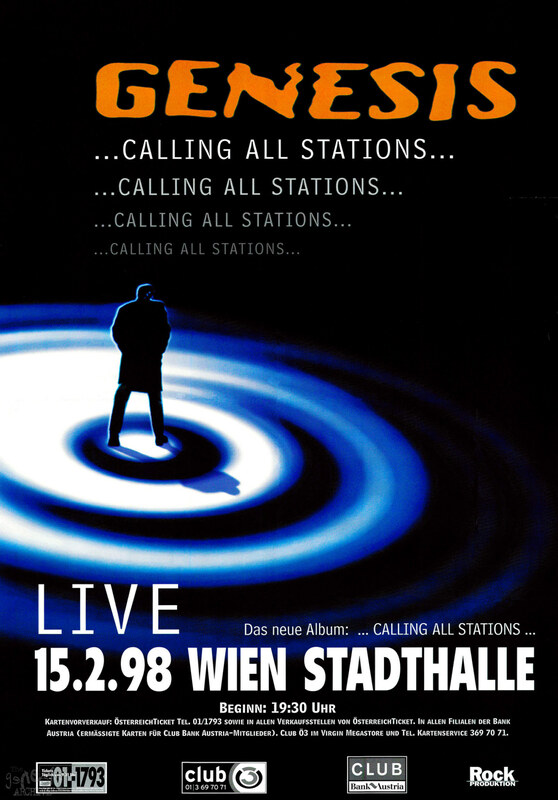 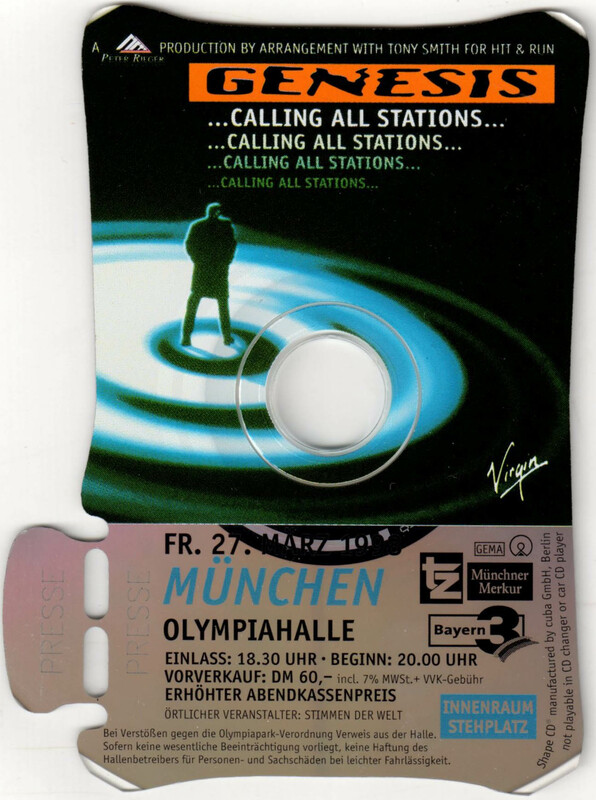 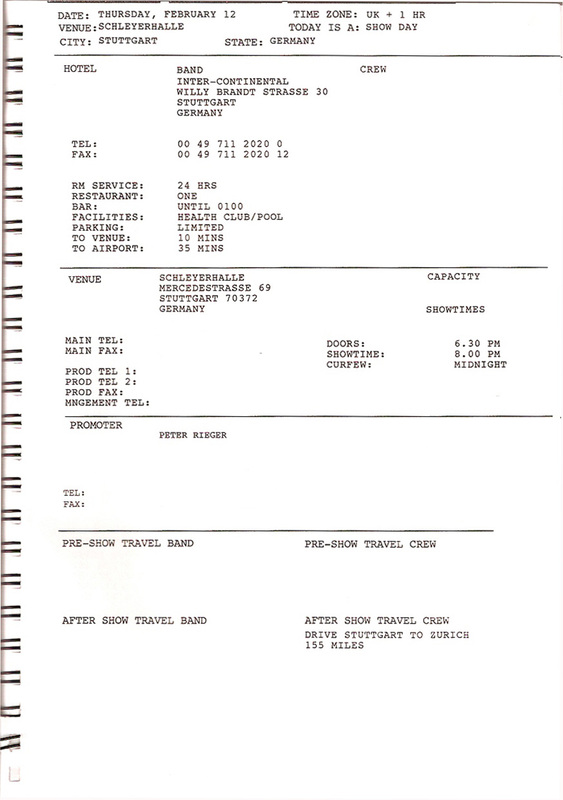 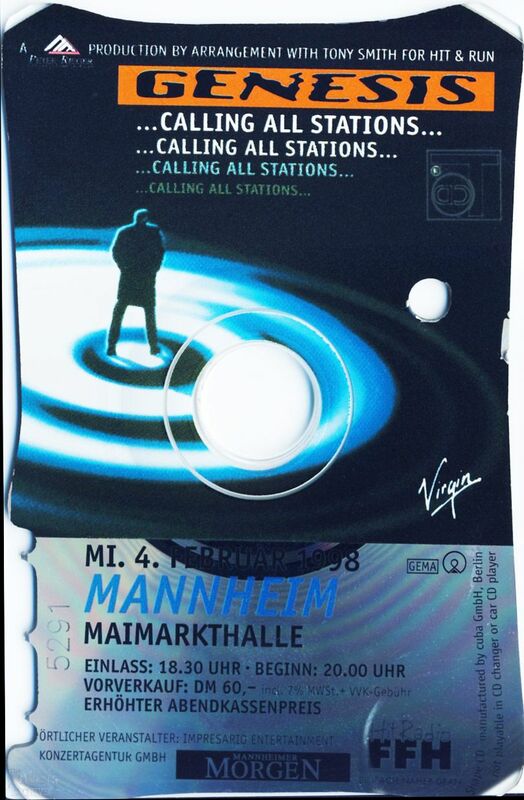 Calling All Stations tour, A ticket for the Munich show on the 27th March 1998.